Frank Gilbert speaks about his time on the Landmarks Preservation Commission as first secretary, then executive director. He speaks about his role in Penn Central Transportation Co. v. City of New York at great length. People: Albert S. Bard, Juliet Bartlett, Abraham Beame, Terry Benbow, Francis Bloustein, Seymour Boyers, William J. Brennan, Marcel Breuer, Alan Burnham, Paul Byard, Martin Cohen, Elisabeth Coit, Robert Connor, J. Clarence Davies, Barbaralee Diamonstein-Speivogel, James Felt, Harmon Goldstone, Roberta Gratz, Evelyn Haynes, Charles Evan Hughes III, L. Bancel LaFarge, Hawthorne Lee, Samuel LeFrak, John V. Lindsay, Russell Lynes, John Mitchell, Robert Moses, James Nespole, Joseph Papp, Charles A. Platt, Geoffrey Platt, J. Lee Rankin, Norman Redlich, Peter Reidy, Irving H. Saypol, Whitney North Seymour, Sr., Benjamin Sonnenberg, Beverly Moss Spatt, Helen Swenson, James Grote Van Derpool, Robert F. Wagner, Jr.
Frank Gilbert was the first secretary of the New York City Landmarks Preservation Commission [LPC] and then became its executive director. Gilbert draws on archives to recount his memories of from the early days of the LPC. Topics covered include several early designations, including Astor Library, Friends Meeting House, and Sailors’ Snug Harbor. He also describes an early hardship application which led to the demolition of the landmark-designated Manhattan Club, a court decision upholding the designation of Sailors’ Snug Harbor, and a court decision striking down the designation of the Morgan House. The contentious debate over a certificate of appropriateness for a new townhouse at 18 West 11th Street, site of the Weather Underground explosion, is also detailed. The interview touches on legislative matters as well, including a 1968 amendment to the Bard Act, and the 1973 amendments to the City’s Landmarks Law. In the second half of the interview, Gilbert provides details about the proposed office tower above Grand Central Terminal that lead to a legal battle over the LPC’s decision. Gilbert also addresses the circumstances around his departure from the LPC at the end of 1974. After leaving the LPC, he took up a position with the National Trust for Historic Preservation, where he continued his involvement in the Grand Central litigation. Q: This is Benjamin Baccash interviewing Frank Gilbert. Okay, so we can get started. Thanks Frank, first of all, for doing this. I have a list of questions here. We can just go through them in sort of rough chronologic order. How and when did you become involved with the Landmarks [Preservation] Commission in New York? Gilbert: It goes back, really, before I formally joined the staff in the summer of 1965. I had been at the [New York City] Department of City Planning and working with the Landmarks Commission. In that capacity I had done some work with Harmon Goldstone, the second chairman. He was proposing a project on the Fraunces Tavern block, a project that never got implemented. The one reminder of the project is in the office building across from Fraunces Tavern. There are some glass windows in the sidewalks to show where the original foundations were of the Dutch stadt house [Stadt Huys] or [New York] City Hall. I was working with Harmon, who was a member of the [New York City] Planning Commission helping him put together the proposal. Perhaps more importantly, at that time I was asked to represent the Department of City Planning in the preparation of the historic preservation ordinance. My background was that I was doing legislative work. I had been loaned to the [New York City] Mayor’s Office and was doing legislative work up at Albany, if you will, as a lobbyist for the city during three sessions of the state legislature. Francis Bloustein, the vice-chair of the City Planning Commission, did not want the Planning Commission to be involved to a great degree with historic preservation. He felt the Planning Commission had enough to do without historic preservation. I participated in the legislative work, the drafting work, to keep the role of the Planning Commission a small role. As it turned out, what we came up with in that area was the idea that after a designation was made, the Planning Commission or the Department of City Planning will report to city government—to the [New York City] Board of Estimate. The Board of Estimate would be approving designated properties or designated historic districts, and the reports from the Planning Commission would indicate how this related to the master plan, to zoning and other aspects of city government that were the responsibility of the Planning Commission. That was my involvement, and then there came the summer of 1965. The Landmarks Law had been passed and adopted in April, and there was a staff already there who had been working on preservation before the ordinance was passed. Someone said to Geoff [Geoffrey] Platt, the first chairman, “You better get somebody here who knows about city government.” The people on the staff at that point were very fine people—historians, architects, architectural historians, but my credentials were that I had dealt with all the city government along with other people when legislation was pending. It was a big city, but I had a front row seat. I think I knew how the city operated, and on that basis that got me my job. Q: When you were in the process of working on the law before it became a law, did you come to know James Felt? Gilbert: I knew James Felt as a staff member at the Department of City Planning. I certainly did. Q: Was he involved with the Landmarks Law? Gilbert: He was the man who really came forward and made the first public declaration probably about 1961 before the Municipal Art Society [MAS]. He expressed the city’s interest, his interest in having the historic preservation law. That led to developments which I guess would’ve been recorded elsewhere, namely a committee to study the situation. After several meetings they recommended setting up by executive order a Landmarks Preservation Commission to draft the ordinance and to do some survey work. That’s all in the early 60s. Q: What about a man named Seymour Boyers? Gilbert: Oh yes. Seymour Boyers was a city councilman, later a judge, and he was very much involved in the enactment of the legislation by the City Council. There was a very successful public hearing, I remember it, with I think over fifty, maybe around seventy persons testifying. I always said that there was a tremendous agreement. People who did not agree on anything else seem to agree that there should be a historic preservation law. I was at the public hearing before the City Council. Then there was a lot of work to do because people had some concerns, for example, about designations while plans were pending. So they set up the arrangement by which there were the eighteen months of public hearings on proposed designations, and then three years without public hearings on designations. In effect, no new buildings could be heard and then designated. Q: At this time, was Whitney North Seymour Sr. involved? Gilbert: He was involved. Whitney North Seymour was involved from the very beginning, even before James Felt’s speech. He was a leader in appreciating the historic buildings of New York, so he promoted things like the activities in the Municipal Art Society and the preparation of Alan Burnham’s book on New York landmarks [New York Landmarks: A Study and Index of Architecturally Notable Structures in Greater New York]. He was involved, he gave testimony at the hearing on adopting the law. He was a key player in mobilizing leading citizens on behalf of historic preservation. A remarkable man. Q: Did you know a man named Albert Bard? Gilbert: I knew of him. Q: You knew of him, okay. Gilbert: Of course, he drafted the legislation in the mid-1950s which was the state-enabling legislation, enabling a city like New York to enact a local preservation law. There is one important point which we may come to later in the chronology. Albert Bard’s law did not include the word “district,” and so we went to a great deal of trouble in the late ‘60s to get the word “district” added to the state enabling legislation. I can go on to some details later. The important thing was we added the word “district” and then the legislative note. This note was important to convey the original understanding when the law was passed in the 1950s, because people were questioning whether or not you can have historic districts under the state-enabling legislation. That was all solved, and it’s a bit of a story how it was done. But in sequence, that came at the end of the ‘60s. Q: Okay, so we’ll definitely come back to that. I’d love to hear about it. Now let’s get back to the [Landmarks Preservation] Commission when you got to the Commission. What was your initial position? Gilbert: I was secretary of the Commission and was that until the early ‘70s, when I served as executive director. I was secretary of the Commission—I arrived there in July of 1965 fresh from my third legislative session up in Albany, which is as strenuous as the Landmarks Commission turned out to be strenuous. We had quite a challenge at that point. Along with some very able staff persons, we addressed these challenges. We had to get going on public hearings, get going on designations because we had that eighteen-month period. It was high time that New York City had designated landmarks. There we were at 2 Lafayette Street, the same building as the Planning Commission working on things like the format of the calendars, the printed calendars, the type of notice we were going to give to property owners by certified mail that their buildings were under consideration, the public advertising that had to be done before public hearings, and, most important of all, the buildings that we were going to hear at the first hearing in September and later on because we were going to have monthly hearings. It was a busy time—a lot of cooperation. Everyone pitching in to make the Landmarks Commission have a good start. Q: In Gregory Gilmartin’s book about the history of the Municipal Art Society [Shaping the City: New York and the Municipal Art Society], he says that you were brought to the Commission in its early years for the purposes of ensuring due process. It sounds like that’s exactly what your experiences were at first, setting up the infrastructure of the Commission itself. Gilbert: Very much so. I have a lot of respect for my colleagues, but one of the persons I was working with was concerned about the addition to Gracie Mansion—an office wing added on to Gracie Mansion, the mayor’s home. In this period with worrying about due process, as you say, I was hearing about the sconces for the addition to Gracie Mansion. They seemed to be lost, where were they? There were seemingly endless calls to locate the sconces. I must say at that point, I was a little more concerned about lawyers and objections and proper notice. Many years later I saw the sconces at Gracie Mansion, and those were the important objects that occupied the time of one of my colleagues. We were very much involved with due process, and I think it’s appropriate to say at this point that we had a very good partnership with the New York City Law Department, the Corporation Counsel’s office. The architectural and historical decisions were going to be made by the Commission, but this close working relationship with the City Law Department was very, very important. We discussed with them the buildings that were going to be heard. Again, not for them to make a decision, but we wanted to make sure that we were doing it the right way. So that when the inevitable challenges came, the Law Department knew where we were going—that they were not just in on a crash landing, i.e., a suit against the designation. Q: That’s something else Gilmartin says in his book, is that you were specifically chosen to work at the Commission as secretary because they thought you would be good at steering the Commission clear of any lawsuits. Would you say that’s true? Gilbert: We worked very hard with owners. There were lawsuits which we’ll come to, but we worked very, very hard to see if owners would acquiesce in the designation of their properties. They might not be enthusiastic about it. The Commission had a responsibility which I think it discharged. The lawsuits that came probably demonstrated that we were an independent agency and that we were prepared to make designations. I take pleasure in the fact, for example, that we worked out our problems with Trinity Church of Wall Street. They originally objected to the designation of Trinity Church and their related properties such as St. Paul’s Chapel. We spent a lot of time with them, we listened to them. In the end, they did not object to the designation of their property—that was the type of thing. Each situation was different. We spent a lot of time with property owners, and we were not in a big hurry. Q: There was a negotiation going on with property owners to get some kind of consent, even though it wasn’t required in the law? Gilbert: It was not required in the law. I think it was more getting acquainted, frankly, so that people could live with us. Of course, there were many owners who were supporters of historic preservation. I don’t want to give the wrong impression, but I’d say there were discussions—I wouldn’t say negotiations, there were discussions. I think everyone involved knew that the Commission could make designations and was busy making designations. For example, in that first group we designated the buildings of Sailors’ Snug Harbor over the objection of Sailors’ Snug Harbor [Sailors’ Snug Harbor v. Platt]. We designated the old Astor Library over the objection—they all knew this. The list was a long one, but I do take pleasure in getting to know owners and listening to them. Trinity Church is an example of getting them to acquiesce in their designations. Q: Aside from your dealings with individual property owners, I’m curious how the Commission was treated generally in its early years. I guess we can start with how the mayor treated the Commission. Gilbert: We got a great deal of support from both Mayor [Robert F.] Wagner and John [V.] Lindsay, and I was there for the first year of Mayor [Abraham D.] Beame’s administration. During all those periods, we got support. Again, it was up to the Commission to decide what was made a landmark and what wasn’t made a landmark. There are several pages in Tom Wolfe’s book, The Bonfire of the Vanities, in which he has a mayor dictating to the Commission what it has to do with a church building. First he says hold off on the designation, then he gets into a disagreement with the clergyman and says, “Go ahead with the designation.” It didn’t work that way. The mayor was interested in it, whoever the mayor was. They were interested in it, but they didn’t have the time, and they didn’t have the inclination to get involved with the decisions of the Preservation Commission. Really, cities like New York turned to commissions. Part of the reason they did was that the elected officials had other things on their minds. They really delegated historic preservation to a commission rather than them being involved in the day-to-day future of valuable buildings. But they gave their support, and that made all the difference in New York City and elsewhere. Q: So Wagner and Lindsay were quite supportive. Beame, not as much? Gilbert: I was only there for one year of the Beame administration. His administration was involved in the appeal of the Grand Central case [Penn Central Transportation Co v. City of New York] after the decision in 1975 against the Commission’s action turning down the [Marcel] Breuer skyscraper. As far as I know, this support continued as demonstrated by the appeals in the Grand Central case. Q: What about the City Council? You spoke a bit about Sy Boyer as being supportive. Other members of the City Council, how they treated the Commission in its early years or is it just the Council in general? Gilbert: At that point, what was happening was that the designations were made under the law by the Landmarks Commission and they went for confirmation by the Board of Estimate which existed at that time. It no longer exists. The Board of Estimate was composed of the five borough presidents, the comptroller, the president of the City Council and the mayor. Our dealings really were with the members of the Board of Estimate, so I went on behalf of the Commission to every executive session of the Board of Estimate. That would be on Wednesday afternoon, a meeting to get an idea what was on the calendar for the next day and how people were going to be acting the next day. So we were very conscious of the borough presidents. There are a number of stories reflecting that. You wanted their affirmative vote to confirm the designation. ou spend a lot of time being in touch with the borough presidents’ offices and the City Council president and the comptroller’s office. Q: That was generally a working relationship between the Landmarks Commission and the board. Gilbert: Our designations were by and large confirmed, and there’s a story about that. We did spend time on it. There’s a wonderful house in Staten Island, the [Alice] Austen House, which has been preserved and which was the home of the pioneering photographer. I well remember that because we worked very hard on the designation so that the building would be preserved. There were people on the other side saying that this is very choice property, and they may want to redevelop it. We moved forward on that with the support of the Borough President, and it was the right thing to do. There came a public Thursday meeting of the Board of Estimate with the Alice Austen House on the calendar for confirmation of this New York landmark. Just before the public meeting, Robert Connor, who was the Borough President of Staten Island, called me aside and said, “Would you mind holding this over while I do some more work?” We’d already cleared it, but when you get a request from a Borough President under those circumstances with a few minutes before the meeting, you pay attention to it. I came forward when the meeting began and asked that the Austen House be returned to the Landmarks Commission for further study. I haven’t the faintest idea what that further study was going to be. The Secretary of the Board of Estimate had never been exposed to that approach. It was clear that she was concerned because there was nothing in the law calling for further study. But we took it back for further study, and then a few weeks later, we went back to Borough President Connor and said, “We’re now going to go forward with the Alice Austen House.” He said, “That’s fine.” Lo and behold, the second time it got to the calendar, at the last minute, Borough President Connor said to me standing there at City Hall, “Would you mind taking this back? I want to think about this some more.” For the second time, I stood up before the Board of Estimate and said, “We’d like to do some more study—further study,” and it was returned. The third time was the successful time. That time we’d shown a lot of courtesy to the Borough President, as we should, and the third time he supported the designation, the Alice Austen House, as a historic landmark. Q: What about the Commission’s dealings with City Planning early on? What was that relationship like? Gilbert: I think that was a good relationship. We had Harmon Goldstone as a member of the City Planning Commission at that point, and he was a bridge between the two organizations. They issued their reports on landmarks, landmarks that had been designated by the Commission. Then significantly, there were things that they could do to help the historic preservation program, and there were a number of zoning amendments. I guess the most well known of which is the transfer of development rights which we would develop in conjunction with the Planning Commission, so that it worked out very well with the Department of City Planning and with the Planning Commission itself. Q: What about the real estate community, what kind of influence or criticism were you getting from them, if any? Gilbert: The Real Estate Board [of New York] followed our activities. They were available to the industry to come in, for example, to support the proposed plans several years later for the skyscraper at Grand Central [Terminal]. They sent somebody in to speak in favor of that. They made appearances that we heard at different times, but it doesn’t stand out in my memory as attacks on the historic preservation program. It doesn’t come to mind any particular dramatic moment. One of our best commissioners was J. Clarence Davies, who was a leader in the real estate industry. Mr. Davies, I’ve often cited, was a very good bridge to the real estate industry. He could talk to us. He was an ardent preservationist, and he could talk about what was on people’s minds, and he could also explain what we were doing. He was a very distinguished citizen of New York with a second-generation real estate firm. He had been the director of the Housing and Development Board, which took over the urban renewal program away from the influence of Robert Moses. Which was a very challenging job for Clarence Davies. He was a major general in the Air Force. He had been real estate commissioner for the city of New York—a very long resume, and in addition to being a very nice gentleman. I think Clarence Davies helped us a lot, in addition to being a very fine commissioner. I took a pleasure in him saying with all these positions that I’ve outlined, he said he had the most fun serving on the Landmarks Preservation Commission. That was quite a complement from Clarence. Q: Maybe you’d like to talk a little bit about some of the other commissioners early on? Gilbert: I’d start with Geoffrey Platt, the chair of the Commission. He was a successful architect, second generation. His father, Charles [A.] Platt, had been an outstanding New York architect. The father designed the building for Sara Delano Roosevelt, which figures in a lot of the history. This was the building which had sliding doors so that Franklin [Delano] Roosevelt’s mother could go from her house to the double house. A lot has been written about Sara Delano Roosevelt’s effect on the Roosevelt family. Anyway, that was a Charles Platt building. When you come to the son, he was the architect for Deerfield Academy, a very fine prep school in New England, and he had many other clients. He and his brother practiced together, and he was an extremely fine person to work with. He was supportive on sunny days. If you made a mistake, he was supportive of you. After fifty years of work, I would say he was the best boss I ever had. Really a very talented person. There were other stories, but one comes to mind. When we were solving our problems with the Trinity Church, what turned out to be the winning formula with them was to adopt some very general language, saying that we will work together and we recognize the changes might take place. We look forward to working with Trinity Church. That was our philosophy, we weren’t giving anything away. I can remember leaving the meeting and getting back to the sidewalk in downtown New York near Trinity Church. We both started laughing because we had been through quite a bit already with Trinity Church. Lo and behold, we go into a meeting and get what we wanted. The hearing on Trinity Church prior to this, when it came up for public hearing, was quite a hearing. They had a very effective lawyer, a man named Spencer Byard who appeared for a number of clients. I refer to him as the Dean of the Landmarks Bar, something which amused him. He was giving a very professional opposition to Trinity Church being made a New York City landmark, but there were other people giving testimony. One of the witnesses cast aspersions on some recent work at Trinity Church—I guess the addition of the new building on that site. A man stood up in the audience at City Hall and identified himself as the Chairman of the Committee on the Fabric of the Church [ph]. He was indignant—he didn’t sound at all like Spencer Byard—he was indignant. He ended by saying, “If you don’t like what we’re doing, you can have your plaque back.” It wasn’t our plaque, and so much for spontaneous outbursts. But this gives you an idea—winning over Trinity Church was not the easiest thing. Q: Did you have any other dealings with Spencer Byard? Gilbert: Regularly, he came in for several clients, as I said a moment ago. I don’t think it necessarily got wide acceptance, but I referred to him as the Dean of the Landmarks Bar. Gilbert: Oh, we were good friends. Q: What other commissioners stand out from that era? Gilbert: Many of them stand out, if I may say so. I’ll talk next about [J.] Bancel LaFarge, a very distinguished architect. He had just finished years of work on Laurance [S.] Rockefeller’s resort in the Caribbean, Caneel Bay. Bancel was just very committed to historic preservation. I remember him in terms of—he was not a young man—going to various, distant destinations within the five boroughs to talk about historic preservation. Bancel was always ready to go. He didn’t object. There was no objection to the fact that we were taking him away, away from his home in Manhattan. I remember him with his Rockefeller background working at the beginning with property owners and storefronts and people going for certificates of appropriateness. One of those was for an A&P [The Great Atlantic & Pacific Tea Company] store—that’s a long time ago—an A&P store in Brooklyn Heights. They had a stock design apparently, if you said you had a historic area. It was a little dormer in the roof of the store, and that qualified as a historic A&P. Bancel was not satisfied with what they were going to do with this A&P. He said he would keep after this until he found somebody at A&P, somewhere in the hierarchy, who could approve a different design for this storefront in Brooklyn Heights. That was the type of person he was. Another memory of Bancel was going to 86th Street and Fifth Avenue where the Neue Galerie [New York] is now, a wonderful mansion that Ronald [S.] Lauder turned into a great museum. It was then owned by YIVO [Institute for Jewish Research], the Jewish organization very much interested in the tragic history of Jews in Eastern Europe. Bancel was very much a participant in the discussion at the mansion. In the course of the discussion he mentioned, “As a young man, I went to dances in the ballroom of this house at 86th Street and Fifth Avenue.” I think the room that he was in is the room where the fabulous [Gustav] Klimt painting is now displayed. I like the picture of Bancel recalling his younger days as attending parties and balls at what is now the Neue Galerie. There were other commissioners who made a real contribution. Fritz [Frederick J.] Woodbridge comes to mind. He dealt a great deal with religious buildings. Fritz Woodbridge was very good at being a bridge to the religious community with his background and his continued work with religious buildings. There are other people to talk about. I wonder if I should get some papers out because I think it’s amusing. This was an engaging and explosive column. At some point, Geoff Platt had said, “Well, we solved our problems with Trinity Church.” Russell said something to the effect, “Gee, I have got to revise my column.” Then he went off to Europe without revising his column. That summer while he was enjoying Venice, we were dealing with a very angry Trinity Church which was being poked fun of in the pages of Harper’s Magazine. The matter did not explode our agreement, and Russell apologized when he came back from Europe. But he was a talented member of the Commission. A piece of humor involved the one non-active member of the commission—a realtor, Samuel [Sam] LeFrak. There’s LeFrak City in Queens, and his son is carrying on the business. Sam LeFrak was appointed to the Commission, but he never showed up. One of my memories was of a tenant calling up. He had looked at the city’s Green Book and knew that the commission met at a certain time, and he was calling because he wanted to talk to Mr. LeFrak. We hadn’t seen Mr. LeFrak for a long time. I did have some phone conversations. I was the contact person on behalf of the Commission, and as I say, he never showed up. That wasn’t quite the end of the story. This was the 1960s. In the 1980s I was doing a lot of traveling for the National Trust [for Historic Preservation]. At thirty-five thousand feet in the air, I opened one of the airline magazines, and it turned out they had a profile of Sam LeFrak that wasn’t very penetrating. But lo and behold, at thirty-five thousand feet in the air, I saw a reference to Sam LeFrak being a member of the original New York City Landmarks Preservation Commission. I was also on the holiday list, so I regularly got holiday cards from Sam LeFrak which featured paintings from the collection of Samuel and Ethel LeFrak. I missed those holiday cards. He had a wonderful art collection. Q: What other commissioners could we discuss? I’m curious. You’ve got some really great stories about some of the others. Just from the early years, we’ll get to the other ones as we continue. Gilbert: Marty [Martin] Cohen was a young and very talented architect at Skidmore, Owings & Merrill [LLP]. He was taking quite a bit of Gordon Bunshaft’s time pro bono to work on the landmarks issues, and I learned a lot from him. I admired very much the way he could look at architectural drawings or renderings and see how a change here or a change there would improve them. He had a wonderful eye. My most distinct memory of Marty comes up a little bit later. It had to do with the public hearings on the Grand Central plans. Marty looked at the renderings of what was going to be done. Being a talented architect, he spotted a part of the design which was very much in deep shadows. He knew enough to ask Marcel Breuer’s partner who was testifying, “What’s going on here? It seems to be in deep shadows,” and there was a certain amount of back and forth. Then fairly soon, Herbert Beckhard, who is the partner, allowed how they really hadn’t worked this through. That was the reason, and all he could say about why it was in deep shadows. Helen [W.] Swenson was a member of the original Landmarks Commission, and she represented the Bronx. There came a time when I went up to a church in the Bronx that was being considered for landmark designation, and got a welcome from the church which consisted of the very strong statement drafted downtown objecting to landmark designation of churches. It was just too strong a statement. It didn’t play well up in Riverdale and the Bronx. We ended up designating the church, but I think the whole point of the story was, “Helen wouldn’t do that to us.” These were fellow members of the church with Helen Swenson. Coming in with an aggressive denunciation of historic preservation was not a winning argument to make up at this nice church up in Riverdale. Q: The church was designated? Gilbert: The church was designated. After this courtesy visit up there, it was an invitation. We prevailed, but it was not the most enjoyable evening I’ve spent. Gilbert: I’ve covered a number of the early members of the Commission. Q: How many were on the staff on the Commission at this time? Gilbert: I’m going to say about eight persons on the staff in terms of a person doing history, a person doing a lot of photography work, myself, Alan Burnham, and the first executive director James van der Pool. There were two secretaries. I think about eight divided among these different categories. As I say, a photographer, an architect who worked on applications for certificates of appropriateness. It came out to about eight persons. Q: Could you talk about the culture of the Commission at that time? Gilbert: I’d say it was a pretty exciting place to be there. We were in a new area. Speaking personally, there was a lot of tension because there were people objecting and lawyers objecting. I think one or two of us felt most of that pressure working with Alan Burnham, and before him with James van der Pool. I think we felt the pressure of the opposition. I think the other people worked quite hard on the research, the photography, the writing of reports. It was a happy place to work and an exciting place to work. I remember saying to one person who left us to go somewhere else—I said, “Good jobs are hard to find—interesting jobs. I’m sorry you’re going, and I certainly hope your next job is as good as this one.” We had a good working relationship, but I think that reflected my feeling that I was fortunate to be there. I was a bachelor then, it occupied most of my time. Gilbert: Pressure in terms of, were we legal? I could’ve expanded on that answer a moment ago. Up until the Grand Central decision, which is 1978, you wondered—a lot of people were praising our work, people like Whitney [North] Seymour [Sr.] and other distinguished people. But there were people who were saying the fact is that this won’t last—this is not legal. When you listen to—in New York City, in my case, nine years of some people saying that you’re not legal, all your work may be lost or wasted. You don’t believe them. You believe in what you’re doing. You’re optimistic, but it has an effect on you. Q: Who was saying that the law wasn’t legal to you? What was the type of person who would say that to you? Gilbert: Every major law firm in New York had somebody on its staff who could testify for a client about the Landmarks Commission. There were a lot of private citizens who were saying that. However, the support was very extensive. I don’t want to make it sound impossible, but as I said a moment ago, every law firm had somebody who could discuss that. They regularly came in for one client or another. Q: So the support was coming from the advocacy community? Gilbert: The Municipal Art Society [MAS], and one of our strengths was clearly the historic districts, because they grew. The people in Brooklyn Heights liked what we were doing. After its designation, people in Greenwich Village liked what we were doing. There was a lot of support there. It’s just that some people were vehement, and typically it was the lawyers—and I’m a lawyer—typically it was the lawyers who said eventually this won’t last. Q: Sure. I want to get back to the law’s questioned legality in a little bit when we get to Grand Central, because I think it’ll tie in well there. I was wondering if you could discuss the different working styles of the chairs at the Commission between Goldstone, Platt and then Beverly Moss Spatt. Just how they viewed the law, that sort of thing. Gilbert: Geoff Platt and Harmon Goldstone were close friends and collaborators in developing the program. Geoff Platt started the program. His involvement in the program was from his office in the Grand Central area about 40th Street and Park Avenue, whereas Harmon Goldstone actually had an office at the Commission. Geoff Platt was unpaid, and Harmon Goldstone got a modest salary, so that Harmon Goldstone was there every day. Beverly Moss Spatt came at the beginning of the Beame administration. She had served on the Planning Commission, and she was a very dynamic person. Obviously, she came from a more political background. I worked with her for a year and then left to come to work for the National Trust here in Washington [DC]. Q: Maybe you could talk a little bit about your personal relationship with each of the chairs? I take it you got to know Goldstone better than you did Platt, because Goldstone was full-time and in the office? Gilbert: Right. I think that’s correct. As I said earlier, Geoff Platt was the best boss I ever had. I enjoyed working with him as I enjoyed working with Harmon. But I got to know Harmon quite well. Again, he was a talented person. He was prepared for meetings, and some of them were tough meetings involving property owners. He kept a diary of all the activities that were going on, which was available on one or two occasions to reconstruct what had happened. I was a guest in his home, and sometimes he said, “Can you come up and work at my apartment rather than me coming down to the office?” Of course, I went. I remember his apartment very well. Q: Maybe now is a good time for us to get into some specific situations or cases that you were at the Commission for. Maybe you could talk a little bit about the Friends Meeting House at Gramercy Park? Gilbert: I wonder if you want to do it a little bit chronologically, because I think it’s quite interesting. Gilbert: I mentioned the Commission beginning, and our first hearing was September 21, 1965. That was a hearing with a lot of difficult items on the calendar. The items reached the calendar by consensus among the members of the Commission that they wanted to hear these buildings. A lot of research had been done by the Commission and staff that existed before the ordinance was passed. We came to the first public hearing, and there were things like the buildings of Sailors’ Snug Harbor. At this first public hearing, the Pieter Claesen Wyckoff House, the Kingsland Homestead—which had to be, and eventually was moved in Flushing to save it—the [J.P.] Morgan House in Murray Hill which was the Lutheran Church [in America] issue, the Jerome House [Jerome Mansion]—Manhattan Club—the HIAS [Hebrew Immigrant Aid Society] Building, and the [E.V.] Haughwout Building. That was quite a handful for this first public hearing, which lasted until eight o’clock at night. That was the beginning of the Commission. The Commission went forward a month later and designated twenty buildings as landmarks. That included the Kingsland House, that included the buildings of Sailors’ Snug Harbor. We were on our way, and I remember from that point that the [New York] Herald Tribune ran an article about these designations. They said, “Twenty Buildings Saved!” My reaction at that point was, “Twenty buildings designated, and we had a lot of work to do on these twenty buildings before they were saved.” There’s a certain irony there because the Herald Tribune, alas, went out of business all too soon thereafter. But after all these years, I do remember their headline, “Twenty Buildings Saved.” I thought about that from time to time. But I should deal with that period. What comes to mind is the Astor Library. That was a big challenge among those early designations, and it was followed by things like the Friends Meeting House. For the old Astor Library on Lafayette Street near Cooper Union, there was a contract for an apartment house to be built on that site. Indeed, I have a copy of that contract with the name of the purchaser. HIAS, which took care of refugees from totalitarian regimes, makes the building quite a moving place. They no longer needed all the space at 425 Lafayette Street. At one point, they explained that for many years it had been used as a dormitory with partitions in there so people could stay when they reached New York City escaping from Europe. Now as HIAS explained, they were sending people out by airplanes. They really didn’t need a place for people to stay in New York City. They had sold 425 Lafayette Street to an apartment developer, and they opposed the designation. The Landmarks Commission, going back even before the period of the ordinance was enacted, had been trying to interest people in 425 Lafayette Street. At least five persons turned it down, including Joseph Hirshhorn—who had lofty goals which he achieved, namely the Hirshhorn Museum [and Sculpture Garden] on the mall here in Washington. But there were moments that were serious moments in terms of adapting a library to a theater. There were issues about a theater being on the second floor of the main building. It was on the second floor, in terms of the way the City Code read. But Joe Papp stayed with it, and it was very, very exciting to see that building saved and turned into a remarkable theater enterprise. The first production there was “Hair,” the rock musical which went around the world. Joe Papp wisely had a percentage interest in the profits from Hair. I was aware, and others were aware that Hair, the rock musical, helped made possible the Shakespeare in the Park. It was quite a marriage between two different cultures. I can remember Joe Papp inviting the Landmarks Commission in 1967 to have one of those monthly meetings at the Astor Library, as they were preparing to open Hair. We literally could hear some of the music as we conducted our meeting. That was in the early days when you could meet away from City Hall and our offices at 2 Lafayette Street. You didn’t have for that meeting, certificates of appropriateness, where the owners would come in with their applications. We met at the Astor Library to celebrate that victory. Q: While Joe Papp was kind of fleshing this plan out to adaptively reuse the Astor Library, what was the Commission’s involvement? Was there consultation ongoing? Gilbert: We heard from Joe Papp when he had problems with the Buildings Department [NYC Department of Buildings]. We followed it, but it was very much in his hands. He had a very fine architect, Giorgio Cavaglieri, who did a brilliant job of creating the theaters there. It was in good hands. We were very much in Joe Papp’s debt, but we were not involved in the day-to-day things. Q: Let’s say in the instance that you heard about his issues with the Department of Buildings. Would you then, as an ambassador of the Commission—would you then approach the Department of Buildings and try to resolve those on his behalf? Gilbert: I think in this case he had good people there working it out. I don’t specifically recall, but I imagine having gotten this phone call that there was some communication back and forth. I wouldn’t claim credit, or the Commission wouldn’t claim credit for solving his problems, but we certainly were aware of them. We were very pleased that the thing went forward, and there was this relationship which led to an invitation from him. It was very exciting. I remembered those moments and enjoying when we first went there after they took over. I remember saying that there were a lot of problems back at my desk, but I was going to enjoy this moment. Knowing that when I would get back to my desk, there would be a lot of problems there. Q: Should we move on to the Friends Meeting House? Gilbert: I think that’s appropriate. Perhaps I would add one thing at this point chronologically, because things were happening at the same time. That was an experience related to bringing these items to the [New York City] Board of Estimate for their confirmation. This would be at the beginning of January 1966, around the same time as the first visit to the rescued Astor Library. What I’m thinking of is the E.V. Haughwout Building, which is located down on Broadway where there’s now the [SoHo]-Cast Iron Historic District. That was on that first calendar. The issue for the Haughwout Building was that it was in the path of Lower Manhattan Expressway which Robert Moses wanted to build. Mr. Moses was a very powerful man in 1965, 1966. The Commission went ahead and designated the Haughwout Building, and it got on the calendar of the Board of Estimate for its first meeting in 1966. Actually at a time when New York was fairly shut down with, I guess, the first of a number of subway strikes. But there we were at City Hall. As a representative of the Landmarks Commission, I was there to answer any questions and hoped that they would confirm the designation of the E.V. Haughwout Building. There was also there Robert Moses’ representative, a man named Peter Reidy, who had been Buildings Commissioner and was now a senior member of Robert Moses’ staff up at the Triborough Bridge and Tunnel Authority [MTA Bridges and Tunnels]. I do remember this executive session very well. Actually, the Haughwout Building, because there was a discussion about it, was the last item on the calendar. They ran through a whole bunch of things, then they got to the E.V. Haughwout Building. The men sitting around the table were really the representatives of the borough presidents. So as they discussed this designation favorably, one man after another said, “And that’s the way the Borough President of Manhattan feels. That’s the way the comptroller feels.” These were the representatives of these positions. Then it came to John Lindsay and he said, “And that’s the way the mayor feels,” confirming the designation. With that, everyone got up to leave the room because it was the end of the meeting. Peter Reidy was standing there. He was used to victories at City Hall, but this was not one of them. He stood there probably a little surprised the way the people were confirming the designation at the executive session. But he was not through trying to oppose the designation of this building. As I said, it was going to be in the path of the Lower Manhattan Expressway. He got it adjourned from one Board of Estimate meeting to the next one about two weeks later. Q: For the new Landmarks Commission. Gilbert: We were going to talk about the Friends Meeting House, because that’s quite the story. Because chronologically, that was the second building. Q: Should we come back then to the general story of the Lower Manhattan Expressway and the Commission’s involvement in the designation of the SoHo District, or—that’s a little later. Gilbert: Except that the Lower Manhattan Express Railway [Expressway] was dead by the time SoHo was made a historic district, which was a few years later. SoHo was an important issue, but they weren’t talking about the Lower Manhattan Expressway. That really did not come up in the discussion about SoHo, as I recall it. There were other issues involved in SoHo which became a historic district. Q: Whichever you like. Will you talk about Friends Meeting House now? Gilbert: I think chronologically that was the second building. Perhaps not as well known, but an important building. The Society of Friends had merged two factions, and they were now operating completely out of their 15th Street building, which is where the school was. They, like HIAS, had sold the building for redevelopment as an apartment house. The people living in Gramercy Park in that area wanted very much to save the Friends Meeting House, wanted to declare this a landmark. They mobilized themselves, so they made a very fine presentation at the public hearing about making the Friends Meeting House a historic landmark. I remember it very well because of a reaction of [J.] Clarence Davies, a very experienced person. He was used to public hearings, and he was my neighbor that day. He leaned over and said, “This is a wonderful spontaneous expression of support for the Friends Meeting House.” Clarence should have known better. It was a wonderful expression of support, but I then pointed to a lawyer standing in the back of the Board of Estimate chambers who had obviously done a lot of hard work—and we had some contact with him—to prepare this for this very important statement on the Friends Meeting House. There was a lot of excitement about it. I was told that in the fundraising letter for the Friends that year, they said, “The Landmarks Commission is keeping us from selling this for an apartment house. You’ve got to increase your support because of the Landmarks Commission.” I never saw the letter, but I have every reason to believe they could’ve used the Landmarks Commission as a point in a letter for their theater benefit that year. It was a very serious matter. The situation got a lot better with Benjamin Sonnenberg, a leading figure in public relations, a pioneer. He lived in a mansion at the corner of Irving Place and Gramercy Park South. He led a movement—several residents of Gramercy Park joined together—and acquired the property from the Society of Friends. Then it became the home, as it is today, of the Brotherhood Synagogue which had been sharing space with a Protestant church down in Greenwich Village, and came up and occupied the former Friends Meeting House. It was quite an experience. Among other things, for this transfer, signatures were needed relating to people who had an interest in the park. The group in Gramercy Park was working to save the Friends Meeting House and made strenuous efforts to get one of the signatures. I think the person was overseas or was traveling. The story had a happy ending. Led by Benjamin Sonnenberg, the building was saved and is now the Brotherhood Synagogue. Q: Should we go to Sailors’ Snug Harbor? Chronologically, I think that’s accurate, right? Gilbert: That was a story stretching over several years. Actually, we should perhaps deal with the Manhattan Club, the Leonard Jerome House [Jermone Mansion], which was an issue at that point. We were working on several things at that time, but the Jerome House was resolved, while Sailors’ Snug Harbor continued for quite some time. The Manhattan Club occupied the building built by Leonard Jerome, father of Jennie Jerome, whose son was Winston Churchill. Leonard Jerome was active in New York City affairs in the mid-19th century, and he built this house. From about 1900, it was the home of the Manhattan Club, which was declining in membership and sold the property to a developer to build an office building. We came into the situation when the Manhattan Club, I believe, no longer had occupancy and no longer had ownership. 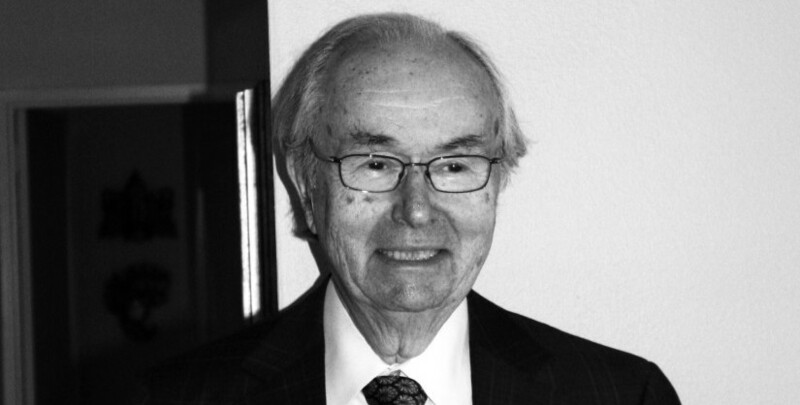 It was in the hands of Herbert Fischbach, who was a leading figure in the building industry. He was a builder. The Landmarks Commission designated it as a historic landmark and made a very real effort to save the building. We spent quite a bit of time with a group of opticians who wanted to make it an optical center. There was a ceremony at City Hall to support what they were doing. I think Bancel LaFarge was the Commission member who was in the photograph with the man who wanted to build this optical center there. Alas, they didn’t have money to go forward with this. Then there was also an effort to show how the Manhattan Club could be turned into offices. We hoped one of the city departments, the department concerned with commerce, would take the opportunity to have a building of its own and use the Manhattan Club as its headquarters. The head of the department had other desires, so we were not successful in persuading him to take over. The owner, shortly after the designation, while some of the stuff lay ahead of us, challenged the designation of the Manhattan Club as a landmark. This was really the first test of the New York City law. We prepared for that case, and when the case was heard by Judge [Charles] Marks, his first reaction from the bench was, “There are a hundred buildings like this in New York City.” Our hearts sank at that point. The papers in the case, including the papers in front of him—although he may not have digested them at that point—had gone to some trouble to say that this French Second Empire building was really unique in Manhattan. Perhaps unique in New York City. We were concerned with the reaction from the bench of Judge Marks. However, he handed down the decision supporting the designation of the Jerome House as a historic landmark. His opinion, and I’m quoting from September 1966, “There’s no merit to petitioner’s contention that the determination is unsupported by substantial evidence.” He quotes, Berman v. Parker, “The concept of the public welfare is broad and inclusive…The values it represents are spiritual as well as physical, aesthetic as well as monetary.” This is a quote from Justice William O. Douglas’ opinion in Berman versus Parker. Q: While Judge Marks effectively upheld the designation, today we don’t have the Manhattan Club any longer? Gilbert: That’s right. We won the case and lost the building, I’ve said this often. The Lutheran Church case is an example of where we lost the case and the building was saved [Lutheran Church in America v. City of New York]. They stand in contrast. I’ve said that this demonstrated that after these efforts to save the building failed, that Mr. Fischbach and his group petitioned for relief because the building was a burden and there was no use available. Going through the procedures under the law, he was given permission. I reached for my fountain pen on behalf of the Commission to sign the letter giving him permission to demolish the building. It illustrated that this was a working law. It was a bad price to pay to demonstrate that this was working law. Mr. Fischbach, to his credit, said, “If I had known you were going to treat us as fairly as you have, I probably wouldn’t have brought the lawsuit that questioned the very designation of the building.” He had questioned the designation of the building, then at a later point, after he lost the law case, he went through the procedures under the law and got permission to tear down the building. Q: They got permission to tear down the building because it was a financial burden? Gilbert: They could not make reasonable use of the building. There was no new user available, and as such, they came within the type of situation where the Commission gave them permission to proceed. It was not something we enjoyed doing, but it’s what the law called for because this was a white elephant. The way the law was set up and the way the law was administered was, we wanted to have an opportunity to save buildings. We didn’t want them to disappear over the weekend. That was true in this case, that we made every effort to save the building. Q: Before this, I take it this was the first instance of the hardship provision being utilized? Q: Before that, did your opinion of the hardship provision change before the Manhattan Club case to after the Manhattan Club case? Or were you waiting for it to be used to demonstrate that the law was functional? Gilbert: Do you want to say that again? Q: Sure. The Commission in its early years was there to designate buildings and to save buildings, as you said. Gilbert: Right. Designate buildings worthy of that status. When the things came before the Landmarks Commission, they had open minds so we took testimony in favor of designation. We took testimony against designation. Then we came to a decision and, if we came to that decision, we made it a landmark. Q: What was the sentiment behind writing the hardship provision into the law initially? Gilbert: A hardship provision is essential, drawing upon zoning. People have to be able to make reasonable use of their property. You can’t deny them that, and that’s why you have things like variances in zoning. If the zoning ordinance doesn’t permit somebody to use his or her property, then they can seek a variance so that they can make some use of their property. It was clear from the beginning, when this law was drafted, that you needed a hardship provision in there. You couldn’t just say, “save a building,” and somebody sits there with an unusable building. Q: So once the Manhattan Club case took its course, while losing the building wasn’t favorable, showing that the law as functional was a great outcome? Gilbert: It didn’t feel that way at the time. We felt we worked hard to save it. From the perspective of many years afterwards—or maybe we had some positive feelings at that time, based on Mr. Fischbach’s comments. But I often think about the Manhattan Club, I really do. It was a wonderful building, and that was a hard building on which to demonstrate that the Landmarks Law worked. Q: Should we discuss Lutheran Church in America or Sailors’ Snug? Gilbert: Sailors’ Snug Harbor comes with the first public hearing. The Lutheran Church was also involved at that point, but it came to a head really after Sailors’ Snug Harbor was well under way. Sailors’ Snug Harbor had plans to build high rises to take care of its population. They had a study done by, I think, a Washington architect, Edward [H.] Noakes, to build something that retained the central building and demolished four of the five landmark buildings. As it turned out, they really didn’t have the ability or the resources to undertake this major development. Although they did own valuable real estate which paid for Sailors’ Snug Harbor operations. We met with them talking about the new construction on the site, and they opposed the designation. They took the Landmarks Commission to court to get the designation overturned. They prevailed in the trial court before Judge [Charles G.] Tierney [Sailors’ Snug Harbor v. Platt]. Q: The trial court being the [United States] Supreme Court? Gilbert: Supreme Court of New York State. What Judge Tierney said was that the designation of the Sailors’ Snug Harbor buildings was an undue burden on the trustees of Sailors’ Snug Harbor. That was a very serious case to lose at the trial court, and it went up to the Appellate Division of the Supreme Court. There was a very significant opinion in favor of the designation of the property. I refer to it at times as the Magna Carta pre-Grand Central, because this was an appellate court looking at historic preservation in the New York City law. They said, “We deem certain of the basic questions raised to be no longer arguable. In this category is the right, within proper limitations, of the state to place restrictions on the use to be made by an owner of his own property for the cultural and aesthetic benefit of the community…It is unnecessary to trace the course of judicial thinking in this field. It is now the prerogative of the state, if not its province, to so act where the conditions exist and where constitutionally guaranteed rights are not infringed.” That was a very significant ruling by the Appellate Division. Q: Throughout all of these cases, you’re at trial with somebody from the [New York City] Law Department? Gilbert: Oh yes, indeed. We got wonderful support from the Law Department. Harmon Goldstone said that the Law Department spent too much time helping us. The city had other serious problems, and he said that jokingly about how much help he got. He recalled the time when the [New York City] Corporation Counsel, [J.] Lee Rankin, was in Washington to argue a case there, and he said to his secretary, “Don’t do anything until I get back to New York City.” It was that type of relationship with Lee Rankin. He had been the solicitor general of the United States in the [Dwight D.] Eisenhower period; now he was the corporation counsel of the city of New York. We got wonderful support from the Law Department. Q: Who were some other people you were dealing with, aside from Rankin, at the Law Department? Gilbert: His deputy, who later became corporation counsel, was Norman Redlich, later dean at New York University Law School. Another man was John Loflin [ph]. Interestingly enough, he had been at the firm that was representing Sailors’ Snug Harbor, Kelley, Drye, Newhall, and Maginnes [LLP]. John had to prepare an affidavit saying that he had nothing to do with the Sailors’ Snug Harbor litigation because he had been connected with the firm bringing the litigation. In terms of Sailors’ Snug Harbor, a very important issue there was the fact that the court had made this decision, but there were a lot of unanswered questions. They remanded the case for further proceedings. The lawyer for the Sailors’ Snug Harbor said that he was confident that upon the remand we can readily establish additional facts which the court deems necessary to justify vacating the designations which have placed an unfair burden on this charity. That was the position, and this was very important in the development of the Sailors’ Snug Harbor situation. We had this very fine statement which I’ve read from the Sailors’ Snug Harbor opinion by the Appellate Division. At that point, we were trying to resolve the problem without going back to court. It’s kind of dramatic. I think advised by Lee Rankin and others, Mayor Lindsay decided to join the board of Sailors’ Snug Harbor. When the will was originally written at the beginning of the 19th century, it provided for the mayor to be one of the trustees of Sailors’ Snug Harbor. Regularly at four year intervals, the mayor would inform his fellow trustees he declined to serve or he was unable to serve. In this case, John Lindsay rejoined the board of Sailors’ Snug Harbor to try and resolve the case. He was represented by a man named Holt Meyer, his representative on Staten Island, who participated in the activities after John Lindsay had, I believe, gone to one meeting at Sailors’ Snug Harbor. At this point, the thought was that this was a great group of buildings. They could be used by the City, perhaps as a cultural center on Staten Island for the various groups like the Staten Island Institute of Arts & Sciences that were looking for a new home. I remember a meeting with the mayor. He undoubtedly had many things on his mind. Later on, I discovered that after the meeting we had with the mayor, his next meeting was with a candidate who became the police commissioner of New York. In the midst of all this, we had some of the mayor’s time and support. I felt at that time that the things that the Landmarks Commission was doing with neighborhoods like Brooklyn Heights and by that time Greenwich Village, the things we were doing with neighborhoods registered with the mayor that we were helping a good many citizens of New York. He authorized the acquisition of Sailors’ Snug Harbor which has been used for a variety of public purposes since then. This was a great triumph in the courts, great support from the City, and a good new use for some remarkable buildings. Q: That’s amazing—the amount of direct involvement by the mayor at the time in a controversial preservation issue. That today, I think would be very unlikely. Gilbert: I try to follow what’s going on in New York City. I’m grateful for the support we got at that time. Q: That was Mayor Lindsay? Gilbert: That was Mayor Lindsay. Q: Which brings us to Lutheran Church in America. Gilbert: Lutheran Church in America involved the former J.P. Morgan, Jr. House on a corner in Murray Hill. The Lutheran Church wanted to build an office building on that site replacing the mansion. The various branches of the Lutheran Church were consolidating, and there was a very effective head of the Lutheran Church in America who was leading this consolidation movement. Dr. Franklin [C.] Fry wanted an office building in a very strategic location. He was very conscious that this was right at the center of the city, and he looked forward to having an office building there. They opposed the designation. It was an interesting wrinkle to this matter, because they had tried to get the zoning changed to permit a high-rise building there. They had been turned down. It was said to them that opposing the designation and getting the designation removed really could wait until they had favorable zoning. The zoning point didn’t register with the Lutheran Church, and they went ahead with their lawsuit. The trial was interesting in a number of ways. One thing stands out in my memory—the executive director of the Department of City Planning, Richard Bernstein, was on the witness stand in connection with this. Richard Bernstein said that this application for zoning to permit a skyscraper there, this zoning application was filed. The judge asked, “What does it mean to file a zoning application?” Richard Bernstein answered, “It’s a polite way of saying no,” because he was dealing with the church. The case, which was a very serious matter, went up to the [New York State] Court of Appeals, which found that the designation was a burden on the Lutheran Church and its use of the property. The court upset the designation. We lost the case, but the building prevailed. The building is now a part of the Morgan Library. Q: The reason the building is still there is just because of economic circumstance of the times? Gilbert: There was nothing they could do because of the zoning. The zoning called for a building—I guess approximately what they had there. Q: Uh huh. I see. Gilbert: It was very serious for the highest court not to throw out the law, but to throw out the designation. That’s the Court of Appeals, the highest court in New York State. Q: That was the first time that had happened, that a designation had been thrown out by the courts? Gilbert: Yes. In the Sailors’ Snug Harbor case, the Appellate Division reversed the trial court decision. Q: Maybe now would be a good time to talk about the Villard Houses? Of course, is there something you want to speak about before that? Gilbert: Sure. A wonderful group of buildings back behind St. Patrick’s Cathedral. At the time, there had been something in the newspapers about it. Bennett Cerf, the head of Random House publishers, occupied one of the buildings. He said, “These buildings will continue as long as I’m around, and Cardinal [Francis J.] Spellman,” because the rest of it was owned by the Archdiocese of New York. There came a time when Cardinal Spellman was no longer around and Bennett Cerf was no longer around. The buildings were in jeopardy. I remember the personalities involved. There was a very active realtor in New York, John [J.] Reynolds, who was a very successful advocate related to the properties of the Archdiocese of New York. I remember him saying—I’m sure he said it on many occasions, that Cardinal Spellman had paid him a great complement by introducing him saying, “There’s John Reynolds. He would open stores on the ground floor of St. Patrick’s Cathedral, if we allowed him to do it.” This was a tough situation involving the Villard Houses. This really led to the transfer of development rights work with the Planning Commission on the zoning amendment which permitted the transfer of development rights. What was involved there was a realization that the Astor Library down on Lafayette Street had been transferred from the owner, and that the apartment developer and Joe Papp would pay approximately the same amount of money for a landmark at 425 Lafayette Street. But once you’re out to Midtown, the land values are enormous. At that point, if you transferred the property, no one could afford just to leave it alone after they had paid for the cost of the building. It was a very, very valuable New York City real estate that forced consideration. What can you say to John Reynolds? What can you say when they have very valuable real estate? Faced with a meeting about the Villard Houses, it provided an opportunity to see if development rights could be effective in this situation. The point being that if you’re able to realize some of the value of what you could build on that site, you wouldn’t tear down a four-story building to build another four-story building. That is, after the development rights have been transferred. That’s a rough description, and that led to work with the Planning Commission to come up with the zoning amendment. Actually, when the [Lotte New York] Palace Hotel was built some years later, they merged the zoning lots. They didn’t transfer development rights, they merged the zoning lots. But the transfer of development rights was used in other situations. Not too often—it’s not a cure-all, but it did get out of the need to deal with value on the Villard Houses site. Those properties were designated as historic landmarks. Then the sale was for real estate hotel development. That worked out very well, because they could build a large hotel and they could use the unused development rights. Part of the hotel facilities are in the old Villard Houses. It’s quite striking, and now it’s a piece of history. It’s been there for a long time. That’s the basis under which TDRs [Transferable Development Rights] came up, and it provided an opportunity to designate the Villard Houses. Q: Could you talk a little bit about the collaboration with City Planning to develop the TDR mechanism? Gilbert: I want to give credit to other people. Gilbert: I do feel that it arose out of this meeting about the Villard Houses. The person I worked with was a man named Millard Humstone, with whom I had worked while I was at the Planning Commission. A brilliant and very quiet senior planner who had been very much involved in the rewriting of the New York City zoning ordinance in the late ‘50s, early ‘60s and was still an active member of the staff in the late ‘60s. Another person at the Department of City Planning was Norman Marcus, who served as their counsel. Norman did many good things at the Planning Department, but he really wasn’t involved in transfer of development rights. That credit belongs with Millard Humstone, with whom I worked. I think the amendments, once they were drafted, went through quite smoothly. The Planning Commission accepted the transfer of development rights. Later on, they figured in the Grand Central case [Penn Central Transportation Co v. City of New York]. That’s part of the Grand Central story. Q: I want to come back to what you mentioned earlier today—about Albert Bard and the Bard Act, and the adding of the word “district,” just to keep it chronological. Now might be a good time. The word “district” was added to the state enabling legislation. The wording of the subdivision, “as thus made applicable to all such municipalities, would be clarified by the bill so as to evidence more explicitly the original legislative intent that districts and sites shall be eligible for the protection provided for by the legislation.” We were very much interested in this legislative note just quoted. That was part of the legislative history of this legislation up in Albany in 1968. I had been involved in the Albany scene when I was part of the New York City office up there. In the closing days of the legislature, this bill was stalled again between the Senate version and the House version of the legislation. I remember taking the trip up to Albany on the last day or so of the legislature and going to one of my former colleagues who was then the assistant to the Assembly Speaker. Edwin [“Ed”] Margolis was his name. Ed wrote on the legislation that was stalled “rush print,” which was a way to get a bill that was satisfactory to the Senate and to the Assembly—identical bills. Because if you didn’t have that similar text, bills would cross. They had to have the same language for the Senate, the same language for the Assembly. Ed wrote “rush print” on it, I took that and walked a few feet, and deposited it on a desk so we could get a rush print. I had a sandwich with Ed Margolis and returned to New York City, and the bill was passed. I always remember that ride to Albany to get the two words, “rush print,” written on the legislation in the final day or so of the legislative session. That’s putting some of these experiences in personal terms, but I hope you find those interesting. Q: Oh that’s great, yes. As much as that you’d like to offer, I’d love to hear it. Let’s see. Maybe we should talk about the explosion on 11th Street in the townhouse and how you remember that. Then there was some black humor—which was just as Al Capone had gone to prison because he had tax violations, that the people who had done this tragic thing would be convicted of a misdemeanor because they had altered their building without a certificate of appropriateness from the Landmarks Commission. I don’t know if you’ve heard that before, but this was a bit of black humor. It was a very tragic situation with the building destroyed and lives lost. There it was in the Greenwich Village Historic District. It led to very strong feelings as they talked about rehabilitating, or doing something on that site where the building had been lost. I don’t know if you’d heard that before, but I was very much moved. I remember from that time that something had happened here, and the design marked this moment in New York City history. Q: Sure. I think the opinion is somewhat ahead of its time, in terms of broader preservation thinking in the early ‘70s. Gilbert: There was a dissenting opinion which was more traditional. Disagreeing with the design and wanting something similar to what was there before. Q: Who wrote these opinions? Gilbert: Martin Cohen, I believe, wrote the dissent, the more traditional thing. As I said, there were very strong feelings. I think Martin made the best case through the opinion, and I think he was largely responsible for the dissent. I think Harmon Goldstone was largely responsible for the majority opinion. Gilbert: On an application to approve Hugh Hardy’s design. Q: Were there other instances in which opinions were written? Gilbert: This is the one that stands out. Of course, there was an opinion in the Grand Central case. That was again, an application for a certificate of appropriateness. Q: But this was not a standard practice? Q: Were you involved in drafting them, somewhat? Gilbert: I want to give credit to somebody else. Although I certainly saw this, and I’m sure that Harmon asked me a bit about it. But I want to give credit to other people. Q: Did it have to do with the decisions being legally defensible? That’s why the opinions were written, or was it simply a matter of record? Gilbert: I think this was such an important issue, and frankly, the Commission was divided on this thing. They wanted most of what we did to be unanimous. I think this was one where there were strong feelings. I think that Harmon Goldstone felt there was a strong support for Hugh Hardy’s design, and it was an important precedent in Greenwich Village. Q: Maybe we should fast forward to the ‘73 [Landmarks Preservation Law] amendments, but we’ll get to Grand Central. I think we’ll save that for tomorrow and just cover it all in one shot, if that’s okay with you. Gilbert: The 1973 amendments came near the end of the Lindsay administration. At that time, we were very conscious of interiors—because we’ve been through the Grand Central situation where the interiors were not a factor in what the Commission did, but we certainly were aware of the importance of the Grand Central interiors. There was a great deal of interest in what the Commission could do with interiors that are open to the public. At the same time, people were concerned about the comments on City projects. They wanted to make those more open, and then also the whole issue about the periods where you couldn’t designate property. There were a number of things on people’s minds. As I recall, among other things, people were aware that the Lindsay administration was nearing its end. We weren’t certain what lay ahead. All these things—it seemed to be combined in the very important 1973 amendments. Q: Who were the key players? You say it was on people’s minds—the advocacy community? Gilbert: I give credit to them. The amendments were drawn up and put up for public hearing and went through the council. Now what I think about is it may have been a contrast with all the effort that went into the legislation in 1965 and all that led up to that. This thing went through smoothly, and everyone regarded it as important. It made New Yorker magazine in a piece dealing with the Landmarks Commission. It deals with the very time that the legislation was passed, as well as the public hearing going on at that time. This was the end of the period when Harmon Goldstone was chair. Then on January 1, Mrs. Spatt took over. Q: A lot of the reason why there was a movement to get these amendments done was because Lindsay’s term was coming to an end? Gilbert: I wonder if anyone else has that recollection, but that’s my recollection. Maybe it was a bit unspoken, but I think that certainly was part of it. Q: Were there other aspects, other things that people wanted to change about the law that were attempted to be included in the amendments but were not? Or perhaps were, and not originally part of the plan? Gilbert: That’s a good question. After all these years, I can’t really give you an answer on that. I think both key amendments were passed. I will say I think the biggest emphasis was on the interiors. That’s what I think is the most remembered about it. It’s interesting that there were flaws in the law. It was better with the changes, although I feel very positive about what had been accomplished with the law before the amendment. Q: You mentioned interiors—was the demolition of the [“Old”] Metropolitan Opera House behind this? Gilbert: That was nearly ten years earlier. Certainly, when the commission faced the Metropolitan Opera situation, the loss of the Metropolitan Opera House to an office building was very far advanced. Looking back on it, that was a great loss. I’m not certain the Commission would’ve been able to do anything about it because it was so advanced. Certainly there were great interiors there. I don’t have a recollection of the Metropolitan Opera tied in with the amendment. Q: We’ve talked a lot about the different situations that the Commission experienced in maybe its first eight years aside from Grand Central. Maybe you could speak to the LPC’s general legal philosophy at this time? Gilbert: We had a job to do under the law. In this period, we had designated several hundred buildings. I guess at that point, probably close to four hundred buildings. At this point we were designating, I suppose about twenty historic districts. We felt very positive, and we were getting a lot of questions from elsewhere. I think the fact that this could be done in New York City was sending a very good message out. Our philosophy involved defending designations, making difficult designations, dealing with buildings one by one. These designations took a lot to make them successful. There certainly were people who wanted us to do more, but I think other people felt that we had done a lot. The Commission would continue to do more, and there were more buildings to hear and more buildings to designate. Q: But the legality of the law continued to be questioned? Q: Not by you, but by other people. Gilbert: By other people. I think that we took it very seriously when the Court of Appeals vacated the designation of the Morgan House. That’s the highest court in the state. We were very concerned about it in the early ‘70s. The Grand Central decision by Justice Irving [H.] Saypol didn’t come out until 1975. It was a long time between the case being tried, and he waited a record length of time before he handed down his decision. That was a very sobering experience. The experience in Judge Saypol’s court did not make us optimistic, although we prevailed in the end. Our legal philosophy as such was—we had a job to do, we’re getting a lot of encouragement, we had won cases, we felt good about the cases that we had won. We worried about Grand Central. Q: The cases that did come to trial and that were decided upon—those were unavoidable? Gilbert: I guess they were unavoidable. The Leonard Jerome House—Manhattan Club—the Lutheran Church, Sailors’ Snug Harbor. I think the legal side of it fell upon properly a few persons. Basically, the Commission was doing its job of working with owners, trying to save buildings, designating, holding public hearings. The answer that I’m giving you reflects my experience, but I wouldn’t attribute my concerns to everybody there. Q: Sure. Were there any close calls, things that almost went to trial or that there were stirrings of potential cases that needed to be avoided that come to mind? Gilbert: I don’t think we ever said that there were cases to be avoided. It’s interesting, it is among my papers. There was a routine case brought by a property owner dealing with the Greenwich Village designation. That was disposed of pretty quickly. It went up to the Appellate Division. After all our concerns about the Greenwich Village, there was no major test of the Greenwich Village designation. I have no recollection of anything being hands off, or something like that. Q: Maybe we should return to talking about some of the specific commissioners from this time. We spoke about some of the very early commissioners. Gilbert: I mentioned John Mitchell, who was an editor on the staff at Newsweek Magazine, from Staten Island. He enjoyed his service on the Commission. He did say that the mayor had told him that it would not be a demanding position, and that he was amused how demanding being a member of the Landmarks Commission was. He was very helpful in the period after the purchase of Sailors’ Snug Harbor by the City government. He devoted time to the groups in Staten Island and the new uses for the buildings, and developing support there in terms of the next use and getting people together. He did a very good job on that. He was joined by Terry Benbow, another Staten Island resident, a partner at Winthrop, Stimson, Putnam and Roberts. Terry was a very good lawyer and an activist in Staten Island. The two of them together were very helpful in terms of Sailors’ Snug Harbor. Terry was a very good lawyer and with a busy legal schedule, he would stay through the Commission meetings as they dealt with matters of designation and things of that sort. Then he would excuse himself to go back to his law office when it came up to certificates of appropriateness, because he said, “I’m a lawyer. That’s not my field.” But he made a real contribution. For a period of time, he served as vice-chairman of the Commission. Evelyn Haynes served on the Commission, and she was a preservation activist. She was concerned that the Commission hadn’t done enough—there were more things for the Commission to do. I do remember one thing with Mrs. Haynes. We faced a meeting up in the Chelsea Historic District. It had to do with paint colors. We’re getting a lot of support at the time from members of the Commission. Mrs. Haynes felt strongly about paint colors, and I wanted very much for her to join me at this meeting up in the Chelsea Historic District, and she declined. There were times when I felt that she was holding my coat while I went off to battle. Hawthorne Lee was a realtor in Harlem and a very constructive member of the Commission. He lived in the Jumel Mansion Historic District [Jumel Terrace Historic District], and had a very nice home up there. Later on, I saw a play about Paul Robeson, and he referred to his house in his testimony to a Congressional committee. They used in the play his address, which was Hawthorne Lee’s address. I came to the conclusion that Hawthorne Lee had bought Paul Robeson’s house. But there was much more to him. He was very supportive and very talented. He’s been involved with the Carver Savings Bank, so he’s both a banker and a realtor. I have very warm memories of him. Joseph Shelley [ph] was an architect who taught at the City University [of New York] and served a term. He helped bring architectural expertise to the Commission, and he was a witness in the Lutheran Church case. Edward [A.] Ames was running Wave Hill up in the Bronx, the former home of Arturo Toscanini among others. He again was an active member of the Commission and a good member of the Commission. Elisabeth Coit had quite a background in architecture. She was a pioneering woman architect and had done work for the [New York City] Housing Authority and joined the Commission. She found time to be with us just about every day during the month-long trial of the Grand Central case. That was a tough case, and it meant a great deal to see Elisabeth Coit there in the courtroom lending her support. Again, she knew architecture. I didn’t mention earlier Juliet Bartlett who was on the original Commission. She was a very active civic leader, very active in the Women’s City Club [of New York]. Again, I respected her and had a chance to work with her. There are other people to mention. Paul Parker [ph] came as a volunteer and worked on public information, public relations for the Commission and then became a member of the Commission. I remember Paul at a party celebrating the saving of Sailors’ Snug Harbor on Staten Island. Paul turned to me, because it was a large party, and said, “Where were all these people?” Now we’ve been through hell for about five years at Sailors’ Snug Harbor. They’re all here drinking the champagne. Where were they—you got the picture? Gilbert: James [J.] Heslin was director of the New-York Historical Society on Central Park West, and was an active member of the Commission. Barbaralee Diamonstein [Spielvogel] was a part of the Commission’s history in this period. Of course, she was a major figure up to today and served on the Commission later on. She was a very supportive person, speaking in a personal way. She was very supportive when I left New York City. She was concerned that things would work out well for me at the National Trust. That’s a personal memory of her. Q: She was on the Commission for a very long time, right? Gilbert: Right. I think she resigned so that Kent Barwick could join the Commission and become chairman. That’s after my time. Then she was reappointed back on the Commission, and then she was very active in fundraising for the survey that took place later. A very, very special person who produced some excellent books. Q: She runs a non-profit now that puts the plaques on the buildings—actually, that commemorate not just individual landmarks, that’s the [New York] Landmarks Preservation Foundation. But she does the plaque program for historically significant buildings and historic districts. Gilbert: Funds from the New York Community Trust. Q: They don’t do it any longer. Gilbert: I may have garbled it when I mentioned it before, but those were the people who put up the plaque—that man down at the Trinity hearing wanted to give back to us. Q: And at St. Regis? Gilbert: They saw that plaque at the St. Regis. Mr. Henderson was mostly concerned about getting rid of those expensive stone balconies. I haven’t mentioned all the members of the Commission. Morris Ketchum served as vice-chairman, and he was a former president of the American Institute of Architects [AIA]. He worked very closely with Beverly Moss Spatt. I overlapped with that, and I think he continued to be making contributions working with Beverly. I may have left out one or two of the commissioners, but I think I’ve mentioned most of them. Q: Sure. I think that’s probably a good stopping point for today. Then tomorrow, we’ll go through the whole Grand Central story in one go, if that’s okay with you? Gilbert: Fine. I hope I’ve given you what you were looking for. Q: Session two, Frank Gilbert. All right, so yesterday we left off with basically everything but Grand Central and a few other things. Q: Maybe first you could tell me a little bit about the signs you had on your desk. That’s a good starting point. Gilbert: Well, I had one sign that said, “This law raises grave constitutional questions,” so that people who came in to give a speech knew that I already was aware of people questioning the law. The second sign was, “We are not philistines at the First National City Bank,” the First National City Bank being the predecessors of what is now Citicorp. That arose out of the appearance by the First National City Bank at the landmarks public hearing. They had a wonderful building at 53-55 Wall Street—a classical, block-long building built in the beginning of the 19th century. An additional story was added by McKim, Mead and White a century later. Was and is a very fine building, and they were opposing designation of their building which has survived. I believe it’s now a hotel, Citibank having moved most of its operation to Midtown. They objected to the designation, and I remember testimony that was included in our designation report, given by Charles [“Charlie” E.] Hughes [III]. Charlie Hughes was very active on behalf of historic preservation, a New York architect. Charlie Hughes’ testimony that day, was that it was “pointless to pretend” that this was not one of the finest building in New York City. I think that was the direct evaluation of this bank building on Wall Street which was designated. Q: Let’s talk about the first sign for a minute. You said it was basically so you could point to it when people came into your office and say, “I know what you’re going to say already.” Do any particular instances of people coming in to remind you that the law wasn’t formally declared legally sound come to mind? Gilbert: I do remember one attorney who came in, and in spite of the sign, began discussing all the Supreme Court cases going back to an 1896 case. Another time, it was Simon [H.] Rifkind, who was a very distinguished federal judge and then was a partner in Paul, Weiss, Rifkind, Wharton and Garrison [LLP]. Judge Rifkind was a very distinguished lawyer. He came in and did a number on constitutionality and things of that sort, and “we’ll take this to the highest court.” I must say that this was a rather strong presentation. I think it’s fair to say that Harmon Goldstone was a little shaken by the comments of Judge Rifkind. I did say to him that this was the 10:15 performance by Judge Rifkind, which would be followed by a 3:15 performance. I think both Harmon and I survived the visit by Judge Rifkind. Q: Maybe you could talk a little bit about how the subject of the sign plays into the general sentiment of the Landmarks Commission before Grand Central was decided? Gilbert: I said yesterday that people went ahead and did their job. I think most of the concern was focused—it involved a few people there. The Sailors’ Snug Harbor case, the trial court decision which was against the Commission and later reversed. That was on the front page of the New York Times, as were several of the events during the issues about Grand Central. So it was Page One news. But, again, I think people did their job. I think we went ahead and designated building after building, district after district. All I can say, speaking personally—it was a strain to hear so many people suggest that your work was not constitutional. Again, we wouldn’t have gone forward if there weren’t a tremendous number of New Yorkers in favor of it. These were the critics, but the only reason we had any preservation program was because there was strong support. So I don’t want to overemphasize the opponents. Q: When you say it was on the mind of only a few, I would take it that would be yourself, and the chairs, and maybe some of the commissioners were thinking about this? Q: The staff wasn’t necessarily as conscious of that aspect? Q: Maybe now would be a good time to get into the Grand Central case. Gilbert: Certainly. Grand Central arose really in 1966, and it was twelve years before the case was decided before the Supreme Court. It was a twelve year battle, and I well remember how it began. It was my job to send out the certified letters to the property owners as they appeared on the tax rolls, and we sent a certified letter to the Penn Central Transportation Company, the operators and owners of Grand Central Terminal. We had been very conscious, as I’ve indicated, of the importance of Grand Central. The city having lost Pennsylvania Station just a few months before the Landmarks Commission began its work. In approaching this, one thing was on our mind. It turned out we were incorrect. We thought all the floor area ratio, all the buildable floor space for the Grand Central site, had been used up by the very large Pan Am Building—now the Metropolitan Life Building—which was over two million square feet. We had a meeting with the people from Penn Central Transportation Company, and they informed us that there was still potential to build another two million square foot office building. That came as quite a surprise to us. They said, look at your zoning map for the lot lines, and you’ll see how big the site is. At the back of my mind had been the experience with the Flatiron Building on 23rd Street. That building is secure, because if somebody tore it down, with all the set back requirements on that small and unusual site, they can only build a very small building. In the back of my mind was the idea that there could be objections from the railroad, but there was no potential to build a large building on that site. I was certainly wrong in that regard. There we were with public hearings on Grand Central Terminal. At that point, the Commission was considering whether or not it was worthy of designation. That was the procedure, and we took testimony about the building, and I think we realized how serious a matter this was. Obviously at that time we didn’t know what building would really test the law, but surely we were concerned about Grand Central. We prepared a short designation report, similar to designation reports on other buildings, and we spoke in very strong terms on behalf of Grand Central Terminal designating it as a New York City landmark. Some of the lines are important. In the analysis we said, “This great building functions as well today as it did when built,” and that was central to our thinking—namely that this was a working train station, and in our designation report we made that point. Then we spoke very warmly about the quality of the building. It’s a “skillful combination of architectural elements to create a building overpowering in its timeless grandeur.” In the designation report, we spoke about the use made of the terminal at that point: “served almost 43.4 million passengers” during the 1964 year. The findings were that Grand Central “is a magnificent example of French Beaux-Arts architecture…it is one of the great buildings of America…it represents a creative engineering solution of a very difficult problem, combined with artistic splendor…it is unique in quality…[and] plays a significant role in the life and development in New York City.” These words were recognized and respected all the way up to the United States Supreme Court. Q: Was there any public testimony at the initial hearing that you remember? Gilbert: Well, the designation report speaks of a small number. Three witnesses spoke in favor of designation. The representatives of the owner also spoke. Grand Central was on people’s minds, I suppose, because of Penn Station. The great drama came later with lots of witnesses. This designation was made in the summer of ’67, a year after it first been put up for designation. The railroad had requested more time, and that accounts for the period of 1966, 1967. It wasn’t generally known about a proposal to build on that site that had been told to us by the railroad. They had not made any announcement, and we were not in the position to announce to the public that a large building was under consideration. But all that changed in June of 1968, when the developer working with the railroad, Morris Saady—UGP Properties, a European developer—came forward to develop the site. It’s at that point that the two million square foot office building was unveiled. I remember the phone call from the New Yorker researcher this piece was being prepared. The Landmarks Commission was sitting in judgment, or would be sitting in judgment, when they came in for a certificate of appropriateness. There was nothing, really, that the members of the commission and I, as a staff member, could say to the New Yorker. We just listened as they recounted their understanding of the situation, and they wrote this very pessimistic but amusing piece in the “Talk of the Town” a few days later. Q: What was your reaction to the proposal—before it was heard, when you had first heard of it? Gilbert: I was concerned because the chairman of the Landmarks Commission had said to me—what happened to Penn Station must not happen to Grand Central. I guess from the very beginning, my job was really to make sure that we follow due process and didn’t slip on a banana peel. I recognized how serious the situation was. My primary thought was really to be very careful, and be prepared for a very challenging situation. Q: You anticipated it to escalate as it did, or had the potential to escalate? There you have the quote from the chairman of the Planning Commission being very pessimistic about the situation. It is interesting that Time magazine did not mention the Landmarks Commission. Q: Did you have any conversations with Donald Elliott about the situation at the time? Gilbert: No, the Planning Commission wasn’t directly involved with matters the way it was set up. They would comment on our designations. There were no discussions with Donald Elliott at this point. At other times there were contacts, and indeed, later on there was an important amendment to the transfer of development rights. In that sense, Donald Elliott was aware of it, but I think it was done at the staff level, really. The staff presented the amendment to Donald Elliott, and that was the one that expanded the distance that the development rights could be transferred. Q: So what happened after the summer of ’68? Gilbert: Well, it moved towards public hearings. The first step was the developer and railroad coming in for a certificate of no exterior effect. They wanted to test whether or not we would give permission at that point. We were a little surprised that a two million square foot office building on top of Grand Central would qualify for a certificate of no exterior effect. When they came in and Marcel Breuer came to the public hearing at the Landmarks Commission, they explained that their thinking “no adverse exterior effect,” that this was something positive. They also felt the way it was designed that it actually didn’t touch the exterior fabric of Grand Central. The Commission did not adopt their interpretation and turned down the request for approval, and turned down the request for certificate of no exterior effect. That was the opening skirmish, if you will. Even before the ‘73 amendments, people came to realize or respect the fact how great the interiors were. The interiors were very much on people’s minds. Indeed, the developer pointed to the value of the interiors. At one point, they said, “we’ll fix up the interiors and the stores inside of it,” which were pretty run down with stores that weren’t paying the type of rents that were possible at that site. I was used to the fact that people would come in and say that the damage done to our historic building was not done by us—it was done by the former owner. But in this case, there had only been one owner since the terminal had been built. So it took some nerve to say, we’ll clean up the station which we neglected over the years, and that’s one of the reasons why you should give approval to our project. The next thing that came up was the public hearing in 1969 for the approval of the plans from the developer. There was a significant public hearing in April of 1969 with a great many people testifying. I think there were more than seventy witnesses speaking against the proposal. The name that would be recognized would be Ed [Edward I.] Koch, who was later mayor of New York. There was a large number of people who spoke against the proposal. There was a smaller number of people who spoke in favor of the proposal, including I.M. Pei and other architects. Listening to their testimony, I think these architects felt that something was going to happen at Grand Central, and the city was better off with an architect of Marcel Breuer’s quality rather than some other architect who might be drafted to design a building. So these architects including I.M. Pei spoke on behalf of the proposal. But as I said a moment ago, there’s a long list of people who spoke against it—starting with the president of City Council and the editor of Architectural Forum and representatives of the American Institute of Architects. It was very impressive, people who spoke up and spoke up strongly against the proposal. Gilbert: Obviously the Municipal Art Society [MAS] was involved. The Municipal Art Society was a very important supporter and leader on defending this landmark and other landmarks. The speakers from the Municipal Art Society included Charles Hughes, who had given testimony about the First National Bank building. The public hearing was closed after all these witnesses had given testimony. Then there came a Perry Mason moment—I like to refer to it that way. It turned out the application from the developer included plans for a site that they did not own. It was a fast food place called Cobb’s Corner, and that was included in the design. The railroad explained and the developers explained that they were confident they could get the rights to build on the entire site, including Cobb’s Corner, but they didn’t own it. This raised in their minds the thought that they might have an invalid application and that the Commission might turn them down without ever getting to the merits—turn them down on a mere technicality. At that point, they would have a choice of appealing the Commission’s turn-down or starting all over again. Neither of these things looked attractive to them. So they wrote to the Landmarks Commission, which was then considering the application, the public hearing having been closed and completed. They asked the Commission for some information as to what grounds it would reach a decision. They wanted to avoid this problem, and they wanted to avoid a mere technicality. I must say, at this point, you’re asking about my feelings. This was quite a battle I was perfectly prepared for a mere technicality, any port in the storm, but I think people really wanted to reach the merits of the design. That passed the ball back to the developers and the railroad. They sent Marcel Breuer back to the drawing boards, and he came up with Breuer II Revised. There were two alternate designs. Breuer II Revised only involved property they already owned. In the years since then, I’ve gotten a number of phone calls asking—what is this Breuer II Revised? They understood Breuer I, but they didn’t quite understand Breuer II Revised. It all went back to Cobb’s Corner, this property they did not own. Q: I take it they never did acquire Cobb’s Corner? Gilbert: The building didn’t go forward, so I don’t know if they ever took that final step. They obviously invested quite a bit of money in payments to the railroad, and also in the legal fees. Whether or not they acquired rights to Cobb’s Corner is a good question, and I don’t know the answer to it. So there we were in 1969. There was another hearing involving Breuer I and Breuer II Revised. It incorporated by reference, all the earlier testimony from April. Then, at the end of August 1969, the Landmarks Commission presented its opinion on the application for a certificate of appropriateness. There are a number of things in that opinion which deserve attention. One thing was part of what the Landmarks Commission heard in its public hearing, and it dealt with people’s concerns on design and environmental issues. People spoke about the great interiors that Grand Central had—the density of office population, adequacy of light and air, possible transfer of development rights, pedestrian vehicular circulation, and so forth. These are matters, we said in our report, that fall within the province of the City Planning Commission and not that of the Landmarks Preservation Commission. So it was important. Our decision had to be based on architecture and history, and not involve issues that belonged to other people like the Planning Commission. “The crucial question is whether the proposed tower would be appropriate.” This is from the report. “Despite the damage that many feel the Pan Am Building has done, it can still be said that the Terminal is unique in the city…The south face of the Pan Am Building is about three hundred and seventy-five feet back from the south face of the Terminal. The south face of Breuer I would be only thirty feet away…The Landmarks Preservation Commission has no fixed rule against making additions to designated buildings.” [ph] We cited examples there in the report. The crucial thing in evaluating Breuer I is to place “a fifty-five story office tower above a flamboyant Beaux-Arts façade seems nothing more than an aesthetic joke. Quite simply, the tower would overwhelm the Terminal by its sheer mass. The ‘addition’ would be four times as high as the existing structure and reduce the landmark itself to the status of a curiosity.” We must preserve landmarks “in a meaningful way,” and then they go on to evaluate Breuer II Revised, which stripped off the south façade and built the office building without the façade. It ends with saying Grand Central has always been “a symbol of the City itself.” So that was a turndown of the proposal presented by the railroad and the developer. Q: That was another one of those written opinions that the Commission put together? Gilbert: Correct. I thought it was important to both emphasize certain aspects of the opinion. Then the next step was discussions between the Planning Commission and the developer, and this is not surprising. We always tried to work with people and try to deal with problems by discussions. In this case it was really negotiating. The Landmarks Commission was not involved, but City Planning staff and the Office of Midtown Development were. The key person for the City was Jack Robertson, who was the head of the Office of Midtown Planning and Development. The Landmarks Commission wasn’t involved. I guess we were aware discussions were taking place. The Grand Central case might never have happened, because what the developer was interested in was achieving floor space he could rent. They were talking very seriously about adjacent properties, especially the Biltmore site [New York Biltmore Hotel], the Hotel Biltmore, and to a lesser degree, the Hotel Roosevelt. They went very seriously into the details relating to what could take place on that site. Later on there was a discussion as to whether or not there had been a meeting of the minds on all the details. There was a handshake between Morris Saady and Jack Robertson, and the city took that handshake very seriously after all the discussions. During the trial, which was some time later, they said, we’ll fly Mr. Saady back from England, to indicate that he attached much less significance to the handshake—or no significance—to the handshake with Jack Robertson. But the fact of the matter is, the City went ahead and changed its transfer of development right provisions to expand the concept of adjacent property to which floor space would be transferred. The City would not take that step unless they felt they had an understanding that the Biltmore site would be redeveloped. That was one of the features of this long struggle about Grand Central, and indeed, there’s a reference in a Supreme Court footnote—calling attention to the discussions about the Hotel Roosevelt and the Biltmore Hotel as an indication there were ways for the railroad to get more revenue out of the Grand Central site by transferring. It made a footnote in the decision even though it wasn’t decisive at any point, but there were the discussions, and there was that handshake. Q: Grand Central Terminal originally was planned to have a tower above it. At any point did the Commission say that they would approve the tower as originally designed? Gilbert: It was not presented to the Commission, but we certainly were aware of the design. Later on there were comments in the courts, especially the Supreme Court, about the fact that there was a design going back to the beginning which called for a twenty-story office building on top. The question later on was, could or would the railroad go back? That was a possibility for them as the Supreme Court justices looked at it, but it just added force to the feeling that there were things that were unexplored and could be explored. There was no application to build a twenty-story building on top of Grand Central. Actually, I think part of the reason the Biltmore site didn’t go forward was the real estate market turned down. Building an office building at that time was less attractive than it had been a little bit earlier. At that point the developer went to court to challenge the turndown by the Landmarks Commission. Q: How did you first hear of them going to court? Gilbert: Well, papers were served on the Landmarks Commission. I remember the young law student who brought the papers in from the law firm Dewey Ballantine [LLP]—he explained to me where I should sign with this suit. I think they were asking for $8 million a year in damages. I explained to the young man who brought it in that I knew how to accept service on behalf of the Commission. I signed, and the city began preparing for the lawsuit. Q: What was your initial reaction? Were you surprised at the lawsuit being filed, or you expected it? Gilbert: I was used to lawsuits by that time, because we had the Manhattan Club case, and we had Sailors’ Snug Harbor, we had a case about Greenwich Village. Q: So you’ve been served—who’s the person you go and speak to at the Commission? Gilbert: Well, the Commission goes to the City’s Law Department, and there were three very fine lawyers assigned to work with us at that point. James [Jim] Nespole, Victor Muskin and Yvette Harmon—Nespole was the lead attorney. We prepared for that case, which involved various witnesses. We prepared for, listened to the presentation by the developer and his attorneys, and they were represented by a man named Charles [E.] Stewart [Jr.]. As it turns out, this was the last case he tried before he became a federal judge. I well remember this period. We went to court, we would get daily transcripts of what was said in court, and Jim Nespole would quarrel with them what witnesses had said and what the record was. For me, one aspect of the presentation by the railroad and the developer was the testimony of Murray Drabkin. He had been brought in to shepherd this design to approval by the City. He had been the representative of the City in issues in Washington, and he was in private practice. The developer had been advised that this would be a good man to handle all the business with the City. Murray Drabkin testified in court about the proceedings before the Landmarks Commission which involved the application, the certificate of no exterior effect request and the public hearing. I listened very carefully to his testimony. Obviously, he wanted to win the case, but I was very pleased that he could find no fault in the way the Landmarks Commission had handled the application. I’m certain that he would’ve objected to any defect in our procedures. I’m pleased that there were apparently no defects in the way we handled the case procedurally. Q: He was a lawyer? Gilbert: He was a lawyer and as I said, he was the representative of the developer and the railroad. We were there for a month in court. Q: Now this is in the State Supreme Court? Gilbert: The State Supreme Court. It was a difficult month for us. Judge Saypol, I think it’s safe to say, was no fan of New York City government. Jim Nespole as attorney found he had to rephrase questions, and there were a lot of objections. It was a hard month, especially for Jim, because it was very hard to present our case—our witnesses about the matter, and we were very concerned about where Judge Saypol was heading. Q: Did Judge Saypol have a reputation for being a particular judge? Gilbert: He was a well known judge. I really don’t know very much about what his reputation was. He had been a prosecutor before he was made a judge. It was a very tough month. We were concerned about building a proper record. One thing came up—actually while the case was being tried, and we gathered the material about the fiscal matters. We put into the record a letter dealing with $11 million worth of tax exemption that had been given to the railroad. We were very interested in the help given to the railroad. They were now suing and objecting to actions by the City. The railroad prepared for the case—the figures on the financial condition of the terminal, the record for a couple of recent years on the operation of Grand Central Terminal. Along with this was testimony by their architects and a whole range of witnesses dealing with various aspects of the case. Q: Throughout the trial, you’re not litigating the case—that’s done by the City’s Law Department, right? Q: I’m curious—you’re sitting in the gallery, or? Gilbert: I’m sitting at the table with Jim Nespole, Victor Muskin and Yvette Harmon and very much interested in the testimony as it developed with the various witnesses. For example, Vincent [J.] Scully [Jr.], the distinguished Yale [University] professor of architecture, came down to testify about the importance of Grand Central. We all met with Vincent Scully the night before his testimony. On behalf of the Commission, I was present as Jim Nespole and the others reviewed each day’s testimony and prepared for the next day. There was a parade of witnesses, including people like the head of the Planning Commission, Jack Robertson, Vincent Scully. On the other side they had their architects, and they had their real estate people coming in as to the potential for the site. They had a realtor who described some possible tenants—nothing had been signed, but he testified about his hot list and his not-so-hot list, those being people who might go into the building or people less likely to go into the building. This gives you a little bit of a flavor of what was going on. Q: Were there amicus briefs filed? Gilbert: The friend of the court briefs, amicus briefs, began coming later. At the trial level, as the case was heard before Judge Saypol, there weren’t any amicus briefs at that point. That type of brief belongs on the appellate level. Q: Oh, okay. It seems like there was a lot of collaboration going on between the Landmarks Commission, City Law Department. Gilbert: Absolutely, yes. That was essential, but it was quite an experience and not a very pleasant experience. We were concerned that the judge was going to decide against us, and so the case ended. Then there was a long period when there was no decision coming out of the court. Judge Saypol held on to the case for almost three years, which may have set a record. We were in no hurry for him to decide the case, because we were pretty certain as to what his opinion would be. It would be against the City. In the course of this, after the passage of quite a bit of time—a couple of years I guess—Judge Saypol called the lawyers in for week-long proceedings in front of him. This was to go over the findings of fact which were a part of the decision that would be handed down. Judge Saypol, I suspect, wanted to make sure that his findings of fact were solid. The findings have been submitted by both the City and by the developer and the railroad, and it was a grim week in the court. The lawyer for the railroad, John Wood—who’s one of the named partners in Dewey, Ballantine, Bushby, Palmer and Wood—and Judge Saypol were on the same wavelength. They spent the week discussing more than one hundred findings of fact. The railroad’s findings of fact were all adopted by Judge Saypol, and the City was sitting there and basically listening. We hoped that there were defects in what the judge was doing, and that he would be reversed. We were not really drawn into the discussion of the wording of the findings that were coming up, but we were there in this courtroom. We hoped there was some defect in these findings. But as I say, John Wood and Judge Saypol had a great week together. Near the end of this, we were coming out of the courtroom one afternoon—I turned to Mr. Wood and said, you know, we’ve done you a big favor. We kept your client from building a building that would be vacant now because there’s not a big demand. We’d appreciate very much a letter from your client thanking us for the help we’ve given him. John Wood started to answer—he said, “You don’t really think that.” At that point, he realized I was pulling his leg and didn’t expect a letter from his client, but I think that was the best moment of the week. I like the memory of this brief interlude with John Wood, the lawyer for the developer. Q: Going back to Judge Saypol for a second—between his disdain for the City of New York and what would seem to be greater attention given to the railroad and his adoption of their facts, was his impartiality questioned? Did it seem that he was exercising favoritism in some way? Gilbert: I think it was just the way he saw the case. I don’t think there was favoritism involved. Dealing with the case, he saw the case one way. He liked what the developers and the railroad were saying, and he didn’t like what the City was saying. He was the commander, the ruler of the courtroom. We were there paying attention to him. Q: I take it you never got your letter from the railroad. Gilbert: We were actually looking for the letter from the developer. We certainly never got a letter from anybody thanking us for the service we’ve performed. Q: In the three years before the decision comes down, I would imagine that it was somewhat of a tense waiting period? Gilbert: It certainly was. As I said, we were happy that we weren’t hearing from him because we knew that news, when it came from him, would be unfavorable. I don’t believe anybody knows why Judge Saypol took so long to hand down his decision. But it helped us in the sense that we proceeded along. The same time we were dealing with things like the Lutheran Church case, which was working its way through the New York courts. Q: But again, this uncertainty and pressure is only felt amongst a handful of the employees of the Commission. That term, “faded beauty,” was used as a shorthand for Judge Saypol’s opinion. More seriously, “The point of decision here is that the authorities empowered to make the designation may do so but only at the expense of those who will ultimately have to bear the cost, the taxpayers.” Essentially, what he was saying was designation involved compensation for the property owner. It was recognized that would be fatal to a program to save individual buildings, and it would cast a cloud over historic preservation in general. That was the decision by Judge Saypol, a very serious decision, and that led to a tremendous response from the public to save Grand Central. That’s the point at which Jackie [Jacqueline Onassis] Kennedy joined other leading figures in a committee to save Grand Central [Committee to Save Grand Central Station]. That was very important support from the public. Again, the Municipal Art Society was in the center of the support of Grand Central. Q: What was your interaction with that committee, aside from appreciating their support? Gilbert: The Municipal Art Society was very much involved with the Grand Central case. But at this point I had left New York, and was at the National Trust. We at the Trust were very much involved, and very much concerned about it. Jumping ahead, I was involved in a friend of the court brief that was submitted to the Supreme Court. All the way there was contact between the National Trust where I was then working and the people in the city. Q: So what year did you leave the commission? Gilbert: I left the commission at the end of 1974, beginning of 1975. That’s just the period a few weeks before Judge Saypol handed down this decision. I remained very much involved with what was going on—the case in New York City. For example, when the case was pending before the Supreme Court, I got the opportunity to fly up to New York and back for meetings on the strategy and how the case was going forward. It’s interesting what happens afterwards. I’d like to talk about that, even though I was no longer part of the Landmarks Commission in New York City. Q: Definitely. I just want to ask one question before we do that. Would you mind discussing the circumstances under which you left the Commission. Was it that you wanted to move on to greener pastures? Gilbert: No, it turned out that I had a wonderful opportunity at National Trust that developed over the years. But Beverly Spatt—after we worked together for a year, wanted her own person as executive director. So she replaced me, and I lost my job. Q: Who took your position? Gilbert: A man I knew from City Planning, Alfred [“Al”] Shapiro. Al Shapiro was director for about a year, and after that Lenore Norman served for a period of time as Beverly Spatt’s executive director. Lenore Norman worked as my assistant before I left the Commission. I knew Al Shapiro, and I worked with Lenore Norman. Those were my successors at the Commission. I left New York City feeling very positive about what I had accomplished, what I had been a part of for the first nine years of the Commission. I was disappointed that Beverly Spatt didn’t want me as her executive director. Q: Was that because of a particular incident, or she just wanted to build her own team? Gilbert: Looking back on it or at the time—I could say to people, I did say to people that I worked loyally and appropriately and energetically that first year that she was chair. She praised the work I had done for the Commission. I have a letter she wrote to me, and she also wished me well in a second letter when I got the position at the National Trust. Q: I imagine it was difficult leaving in the middle as the Grand Central situation unfolded. It was difficult leaving. Gilbert: I felt very good about what I’d been a part of and helped to accomplish. My friends said to me that there were very fine opportunities at the Trust. I had a little bit of experience with people who looked to New York City as a model. I had some contact with Louisville, Kentucky as they were developing their program, so I had a feeling that the work I’d been part of in New York City would be helpful and useful elsewhere. That’s how it turned out. Gilbert: It was actually a little bit later, ’73. Q: ‘73, was there another staff lawyer at the Commission? Gilbert: Oh no, the administrative side had been my responsibility really over a nine-year period. As secretary of the Commission I handled that side of it—the designations, etcetera. Alan Burnham followed James van der Pool as executive director and emphasized the architectural side. There was never, during those first nine years, a lawyer as such. Dorothy Miner came in as counsel in ’75, but up until that point there had been no counsel as such. Our lawyers were the Law Department, but my legal training and status as a lawyer was very important as we dealt with all these issues. Q: So once you left the Commission and headed to Washington—you were saying you kept an eye on the case. Gilbert: At the Trust, I was very much concerned. Q: Maybe we should talk about that a little bit. I’d be curious to hear what was collectively thinking and concerned about—you were even saying you went up to New York at one point to collaborate later on. Gilbert: Jumping ahead, we played a role. Indeed, the National Trust amicus curiae brief really contained material that was useful to Justice [William J.] Brennan [Jr.] as he handed down his opinion. It was a very traditional brief, seeing landmark preservation ordinances as very much related to the ability to regulate through zoning. The brief from the National Trust was very influential in the Supreme Court. I think what was also extremely important in that brief—and this is the winter of 1978—was that the Trust worked very hard to get other organizations and institutions involved in the case. It was important for us not to be seen as just legislation that came out of New York City. We worked on that, and had support from—and joining in the brief were the City of New Orleans, the City of Boston, and the City of San Antonio, the City Attorneys—which is the National Institute of Municipal Law Officers—the National League of Cities, and the Sierra Club. They all joined in the brief submitted by the National Trust. I think that was very important to have that nationwide coverage. Indeed, the opening paragraphs of the majority opinion by Justice Brennan make the point that these laws existed in all of the country, all fifty states, and, at that point, in five hundred cities. When you read that paragraph of Justice Brennan, you sort of felt that he was not on the road to declaring the law unconstitutional. This law was in so many places—later on he said as much. He was in no mood to strike down this legislation which existed in so many places when he was deciding this New York case. Q: Sure. Maybe we should rewind a little bit, and then get back to the New York Supreme Court decision? Is that a good idea? Q: So after the State Supreme Court, it goes to the Court of Appeals? Gilbert: It goes to the Appellate Division. That was a very crucial stage in the case. I’ve referred to the financial report that was submitted by the railroad. I’m not sure it’s appreciated today, but it was crucial to the victory in Grand Central, the material submitted by the railroad. They shot themselves in the foot, they cooked the books—any number of words could be used to describe it. The Appellate Division said, “To support the claim that it is actually sustaining a loss from Terminal operations, Penn Central submitted a ‘Statement of Revenue and Costs’ for the years 1969 and 1971. These statements, which were prepared for the instant litigation, improperly attribute a considerable amount of railroad’s operating expenses (and some taxes) to their real estate operations. For example, the expense items included ‘Station Master and Staff,’ ‘Information Clerks’ and ‘Gate Ushers.’” For 1971, the cost items included “maintenance, repairs and service plant operations: ($1,141,679), “cleaning” ($632,753), “policing” ($438,566) and “utilities” ($660,710). These figures were “related to the entire terminal operation and not segregated as between the railroad and the real estate portions thereof. Moreover, and to compound the error, no rental value whatsoever was imputed to the vast space in the Terminal devoted to railroad purposes.” They sum it up by saying, “Obviously, if the entire expense of operating a railroad terminal is offset only by non-railroad rents generated by commercial and concession use thereof, even the most profitable terminal will show a deficit.” As I say, they cooked the books. This was their own figures, and this was essential, vital to the Appellate Division in reversing the trial court’s opinion. The Appellate Division made new findings of fact, which included the fact that the railroad had failed to show that it was incapable of obtaining a reasonable return from the Terminal. The use of the property was not in question, whereas it had been in question in some of the other situations, such as the Lutheran Church case. They were able to make reasonable use of their property with the landmark regulations and with the turndown. It was an historic property they could make reasonable use of. Those findings went up to the Supreme Court, and they narrowed the issues before the Supreme Court to whether or not the railroad was entitled under the Constitution—entitled to the maximum use of its property by building a skyscraper. Under zoning, people are able to make reasonable use of their property. That turned out to be the standard, reasonable beneficial use for the Supreme Court. Leading up to that was the narrowness of the issue. The developer could present to the Supreme Court, and they failed to convince the Supreme Court that they were constitutionally entitled to the maximum use of their property through building the skyscraper. Rather, the Supreme Court came down on the concept that they could make reasonable beneficial use of their property and that they were doing that because they were operating a railroad terminal at the time. It goes right back to what the Appellate Division did with its finding of facts and the material I’ve just presented to you. Gilbert: I should pause for a moment, because it went to the highest court in New York State, the Court of Appeals. The chief judge of the Court of Appeals—Judge [Charles D.] Breitel, a brilliant judge—handed down for a unanimous court a very interesting opinion supporting the turndown of the proposed building. Judge Breitel and the Court of Appeals introduced an issue of the contribution by the City to the success of the railroad, to the value of Grand Central Station. He said that there must be a determination of what the government had contributed by bringing the subways there—by supporting the operations of the Terminal. He said that had to be part of the calculations as to whether or not the restrictions by the City were fair. This was a very interesting and very progressive opinion. It left an awful lot of things up in the air. I think it’s fair to say that we did not think that this opinion by Judge Breitel and the Court of Appeals would hold up. We thought it was a very interesting opinion, but maybe it was too revolutionary and probably pretty hard to apply—figuring out what the public input was and what the private sector, namely the railroad, had contributed. In terms of these strategy sessions in New York City, we liked the results from the Court of Appeals. We wanted the Supreme Court to sustain the results, but we didn’t think they were going to use the reasoning from the Court of Appeals. I can remember the lawyer for the City saying at these meetings, the City is before the Court of Appeals quite regularly. We can’t reject what the chief judge has said. But other lawyers in these strategy sessions pointed out that we have to get away from what the chief judge has said to win the case. I think people probably have forgotten that, but it was a very delicate balancing act to get the Supreme Court to affirm the results but accept the fact that other reasons would have to be given to the Supreme Court. Q: The lawyer for the city at that point was still Nespole? Gilbert: Oh no, it was Lenny [Leonard] Koerner. Lenny was the man who we were working with. Jim Nespole was in private practice. Q: So you had these strategy sessions with Leonard Koerner and other interested lawyers, I suppose? Gilbert: The Penn Central Transportation Company decision has been looked at by many persons. It’s good law today. I would like to highlight a few things I think are worth mentioning. As I said a moment ago, one of the opening sentences was from Justice Brennan for the court was, “Over the past 50 years, all 50 States and over 500 municipalities have enacted laws to encourage or require the preservation of buildings and areas with historic or aesthetic importance.” That’s the direction he was heading in. He goes into quite a discussion of details about the New York City law, and he formulates what historic preservation was all about. It wasn’t about acquiring property by the municipalities, but it was providing “services, standards, controls and incentives,” and I think that summarizes what historic preservation programs do. They provide services, standards, controls and incentives for preservation, and he was very helpful in calling attention and characterizing what was being done. As you read the opinion by Justice Brennan, it’s very interesting to see him using the description of Grand Central going back ten years to when the property was designated a historic landmark. He quotes the point in the Commission’s opinion: “Reduce the Landmark itself to the status of a curiosity.” He’s summarizing what the Landmarks Commission did, many years later, and it draws upon the Appellate Division’s view about the failure “to impute any rental value to the vast space in the Terminal devoted to railroad purposes.” There’s the footnote I referred to before, “The record reflected that Penn Central had given serious consideration to transferring some of those [air] rights to either the Biltmore Hotel or the Roosevelt Hotel.” I was very glad that the business with Jack Robertson and the amendment to the transfer of development rights were part of the record in the case, even though the developer and his lawyers rejected the concept that that handshake meant anything. I next call attention to the fact that this significant opinion by the Court of Appeals was dealt with by Justice Brennan in a series of footnotes. He kept saying there was no distance between what the Supreme Court was doing and the decision of the Court of Appeals, but he really didn’t get into a big discussion about how Judge Breitel saw the situation: “[T]he judgment of the Court of Appeals in any event rests upon bases that support our affirmance.” He dealt politely in responding to the Court of Appeals opinion by dealing with it, as I say, in footnotes. Another footnote: The railroad is “[Appellants are] not seeking review of the New York courts’ determination that Penn Central could earn a ‘reasonable return’ on its investment in the Terminal. Although appellants suggest in their reply brief that the factual conclusions of the New York court cannot be sustained unless we accept the rationale of the New York Court of Appeals… It is apparent that the findings concerning Penn Central’s ability to profit from the Terminal depend in no way on the Court of Appeals’ rationale.” The railroad and their lawyers were very conscious that they were in a box because of the finding about reasonable return. This was a major attack on historic preservation, and the Supreme Court through Justice Brennan says we “find no merit” in this attack on landmark preservation. The reason I’ve gone into this is there are key points in the opinion that are worth noting. In some cases, they’re beneath the surface, but a careful reading of the case calls attention to these points. Q: Did you go to the oral argument of the case? Gilbert: Yes. It was a packed courtroom, and one of the moments I remember from that occasion was a comment from the bench by Thurgood Marshall. He addressed the lawyer for the railroad at one point in the argument, and he said, “How did you get the Terminal in the first place? Did you steal it, fair and square?” [ph] The court laughed, and at that point we felt that Justice Thurgood Marshall was on our side. In the years after the successful conclusion of the case, I regularly quoted Justice Marshall’s question from the bench. There came a time, more than five years later, when I was across the table from him at the annual dinner of the Supreme Court Historical Society. I said to Justice Marshall—I wonder if you remember, I’ve been quoting you as asking the lawyer for the railroad, “How did you get the Terminal in the first place? Did you steal it, fair and square?” Without hesitation, he said, “I’m still waiting for an answer.” That’s a moment I treasure. I’m impressed with Justice Marshall’s immediate response, when you think of all the cases he heard in his many years as a Supreme Court Justice. Q: I’m sure there are other things from the arguments that stand out that other people don’t know. I was wondering if you could talk about anything else that stands out from that day? Gilbert: There was a moment when there was a reference in the argument to the Court of Appeals opinion, and one of the Justices said, “Nobody is defending his rationale.” At that point, the Supreme Court was walking away, as we were doing, from this very progressive and puzzling opinion by Chief Judge Breitel. All the Justices asked questions, and the Chief Justice asked a question from the bench referring to St. John’s [Episcopal] Church, which is across from the White House. In asking the question, he said, “Suppose the Landmarks Commission wanted to ‘take’ St. John’s Church.” [ph] The lawyer for the City paused, and tried to make clear that they weren’t taking property—that they were declaring them historic. We were concerned at that point, and Chief Justice Warren [E.] Burger joined the dissenting opinion by William [H.] Rehnquist. Using the word “take” indicated that, in his own mind, designating was a taking. We didn’t care very much for the verb the Chief Justice was using. In the appearance before the Supreme Court, there was an extensive record which was edited down for the Supreme Court. There were a lot of the friends of the court briefs, and very distinguished people joined. Whitney North Seymour got leaders of the New York [State] Bar [Association] to join in an amicus curiae brief in favor of the Landmarks Commission position. Robert [F.] Wagner [III], the former mayor, was one of the persons who joined. It was the Municipal Art Society brief. Francis [T.P.] Plimpton, a distinguished lawyer joined, and a list of distinguished lawyers, including Samuel [I.] Rosenman, who had been counsel to Franklin Roosevelt. The cast of characters varied a little bit, but the Municipal Art Society and Whitney Seymour put together a very impressive group of New York lawyers supporting the work of the Landmarks Commission in this case and other cases. Q: You said it was a very crowded courtroom. Do you recall who you saw—some people that stood out? Gilbert: I should mention something that caused us a great deal of nervousness. The people supporting Grand Central organized a train ride down to the Capital [Washington D.C.] on the Sunday before the case was going to be heard, and we liked the support. I think this applied to the Landmarks Commission and the National Trust, but the Supreme Court really doesn’t respond to demonstrations in front of it. The judges are above that. There was an organized train ride, which was impressive, and Jackie Kennedy joined in the train ride down to Washington. There was a wonderful turnout, and the ceremonies were held in Union Station which was a little distance from the Supreme Court. Then people turned around after this. It was great to have this support. Joan Mondale, the wife of the vice president, cut a cake. We had arranged for a cake with Grand Central on it on the frosting. There was excitement at Union Station in Washington, but it didn’t lead to a demonstration in front of the Supreme Court. I remember going to the Department of Justice, because one of the assistant attorney generals was appearing on behalf of the United States government in support of the Landmarks Preservation Commission. Patricia Wald, who was later the chief judge of the D.C. circuit of the Federal Court of Appeals, at that point was Assistant Attorney General. I remember going over with others to brief her before she appeared before the court as a friend of the court. As Assistant Attorney General, she was allocated time so she could present the government’s point of view. It was a triumph to get the federal government on our side. There were a number of different aspects of this complicated case which stretched over twelve years—then, of course, the sequel in terms of the National Trust’s involvement. We were very much involved in getting funding for a study in the mid ‘80s about the rehabilitation of the Terminal, in which tens of millions of dollars were invested. The first step was to get a study of the feasibility of upgrading the Terminal. Of course, the results are so impressive with a successful commercial area there, with the removal of the Kodak sign—that huge Kodak sign which was on one side of the Terminal. People even suggested it had acquired historic significance, it had been there so long. But that was brushed aside, and the Kodak sign was removed as were other signs on that great terminal area. Then work was done on the ceiling. It means a lot to persons like myself, who were involved in it, to see the Terminal as it functions today and to remember it when it was really quite a rundown place. Fortunately, it was preserved and upgraded the way it should be. Q: I want to rewind a little bit to back to your time at the Commission and moving away from Grand Central. I’m wondering what your thoughts were of the coverage of the Commission in the news, and the writings of people like [Ada Louise] Huxtable and Roberta Gratz? Gilbert: Well, their approaches were different. I’m very much struck by the praise that we received at a very high level from Mrs. Huxtable who was an effective observer of the scene—and also didn’t hesitate to criticize, but she thought highly of the Landmarks Commission. Why don’t we take a moment on Roberta Gratz’s piece? You’re perhaps more familiar. I haven’t read them in quite a while. I certainly remember the week when they came out. Basically, she felt that the Commission wasn’t doing enough and we had situations we had not moved on. Perhaps you can fill me in, because in preparation for this, I do not have her pieces, but I certainly remember them. Q: Sure. I think of Roberta Gratz’s writings as taking a step towards raising the awareness of preservation for people, generally. I haven’t read them myself in some time, so I couldn’t speak to the specifics. Gilbert: I’m thinking especially of a weeklong series that appeared in the New York Post. She was basically concerned and wrote about properties that had not yet been designated—properties that were still pending before the Commission. In fairness to her, there were probably some specifics involved in it, and I take very seriously her criticism. I do sum it up, as I did a moment ago—she felt we didn’t do enough, there were things we hadn’t designated, we were dragging our feet. I saw it differently. I felt, and others felt at the Commission—at the point the article came out, we had designated some twenty historic districts, very pleased that we had designated Greenwich Village, Brooklyn Heights, the SoHo area, and we tackled the individual landmarks we’ve been discussing. At this point I would like to refer to something I do have a copy of, and that is what Mrs. Huxtable said. Mrs. Huxtable didn’t hesitate to criticize when she saw something that she was disappointed in, but she did a piece on Sunday, February 3rd, 1974, at the time of transition from Harmon Goldstone’s leadership to the leadership of Beverly Spatt, and she had considerable praise there. The title of her piece was “From Sentiment to Social Force,” and she had spoken the previous week about planning and urban design, and then she refers this week to preservation. “These two sides of the urban coin provide equally remarkable chronicle of achievement, with this city now in a position of acknowledged national preeminence in dealing with the physical environment…Increasingly, the work of the Commission has become an unexpected and decisive force for neighborhood stabilization, a development of serious significance. With the strongest law in the country, and the proven worth of nine years of experience in administering it, the Commission is currently at a new threshold of power and influence.” [ph] That’s high praise from Mrs. Huxtable for what we were doing. She acknowledged, in the piece, our concerns about designation of the Morgan House, the Lutheran Church case, and the largest stakes involved in the Penn Central suit against the City for the preservation of Grand Central Terminal. I’ve quoted Mrs. Huxtable’s praise coming at the same time as Roberta Gratz’s piece. Ms. Gratz asked questions—she interviewed me in preparing her piece and I was in touch with her, pointing out the pending Morgan case and saying to her, I hope she would include some reference to the Morgan Lutheran Church case in her article. She said at that point to me, that could belong in a later piece she would write, but it would not appear in this five-part series. I think that was unfortunate. Mrs. Huxtable said in this article that I referred to that the commission was “pioneering and careful—understandably wary of getting embroiled in lawsuits that might challenge the law’s constitutionality.” [ph] We were in lawsuits, and Mrs. Huxtable said that we were pioneering and careful. I regret the criticism we were dragging our feet, but I’m grateful for all the support we got, and perhaps that deals with the subject. Q: I want to ask you about another preservation thinker from that time. Did you ever meet James Marston Fitch or have a relationship with him? Gilbert: I knew Professor Fitch. I remember one National Trust meeting in San Diego when we were at the other end of the country. We felt we were the two representatives of New York City at the National Trust meeting out in San Diego in the early ‘70s. He certainly was a very important figure in preservation and started the program in Columbia [University]. Throughout his lifetime, historic preservation benefited greatly from his work. Q: From your time at the Commission, did you have any interactions with him? Gilbert: Maybe a little, but nothing really comes to mind, other than we respected him very much as an intellectual force in historic preservation. Q: I have a few small topics that I want to get back to that were touched upon. You mentioned something about federal buildings, and the way the Landmarks Commission treated them. I thought we could discuss that. Gilbert: That was very important, because there were great federal buildings in New York City. What comes to mind is the Federal Reserve Bank [of New York] in the Wall Street area and the [United States] Custom House, which was still being used by the federal government. In connection with our first designations in the fall of 1965, we designated the Custom House, and we had a paragraph in there which reflected our thinking. Again, the issue being the federal government was a superior branch of government, and it could not be regulated by a lesser body, the municipality. In designating the Custom House, we acknowledged a letter from the regional administrator of the General Services Administration. The federal agency questioned the proposal to designate the building, since federally-owned property is not subject to regulation by local laws. That was the point of view of the federal government. In its designation report, we put a paragraph: “The Commission would be negligent if it failed to act in this situation. At some point in the future this building may be in jeopardy. Our designation will be especially helpful in alerting New York City’s elected representatives in Washington of the importance of saving this building. At present the Commission’s specialists can be of service in providing advice so that the architectural integrity of this building is maintained. Indeed a fine relationship already exists with many local representatives of the Federal Government.” We wanted to put in this paragraph. We’d be negligent if we didn’t acknowledge buildings like the Custom House. Q: But you didn’t officially have jurisdiction to regulate them? Gilbert: All we could do was give advice, but it stands as a designated New York City landmark, and we had interaction with them. We were very concerned about the fate of the Custom House, and people like Whitney North Seymour were leaders on the future of the Custom House. Its present use is some distance from what it was as a Custom House. We did not issue a certificate of appropriateness during the period that I was there. I doubt if we did later on, but maybe we did. Gilbert: There was a lot of interaction with owners as we got acquainted, and I remember very well a meeting before the Plaza Hotel was designated. I was very used to hearing people say—my building is not a landmark, or why is my building a landmark? So there we were with the people from the Plaza Hotel. This is one time that I gave an answer that you think of the next day, but it was a spontaneous answer. People from the Plaza Hotel said, “What makes you think our building is a historic landmark?” Without hesitating, I said, “I’ve read your advertising,” and I enjoy remembering that moment. It’s worth noting that they did not return to the question of whether or not their building was a landmark. They stuck with other topics, and the building was designated as a historic landmark. Q: We didn’t get to discuss yesterday Brooklyn Heights and the Watch Tower Society. Gilbert: Well, that was quite an experience. The people in Brooklyn Heights were very concerned about the institutional expansion by the Watch Tower Bible and Tract Society, and there was bad feeling in the community about it. The Watch Tower Society—the Jehovah’s Witnesses—felt, understandably, that they had been there for a long time. Since the beginning of the 20th century, before their critics probably had been born. It was a very explosive situation. Q: This was over their building being designated? Gilbert: They were part of the Brooklyn Heights Historic District, and they had plans to put another building within the Brooklyn Heights Historic District. I remembered that there’d been the litigation about the Jehovah’s Witnesses, some famous flag salute cases. I recall that my professor of constitutional law said, “Where would constitutional law be without the Jehovah’s Witnesses?” reflecting the fact that they knew how to go to court and defend their rights. As a representative of the City, the Landmarks Commission had a lot of respect for the religious groups such as the Jehovah’s Witnesses. There we were with a designated historic district, the first one designated. The Witnesses came forward with the new plan in the Heights, and they came forward with five different designs. Those designs appeared in the Brooklyn Heights Press of August 17, 1967. Looking at them you really see buildings that might belong to the 1920s, rather straightforward and unimaginative 1920s buildings. With the involvement of the Landmarks Commission, they discarded these proposed designs which had not been well received in the community and not well received in the Commission. They engaged a modern architect, Ulrich Franzen. They ended up preserving the façade and going back some feet, so it was an excellent preservation of three townhouses in Brooklyn Heights. Then they built on a corner. This design by Franzen was very well received by the community. This was quite a story. I remember going over to the Jehovah’s Witnesses to discuss the situation. The head of the Jehovah’s Witnesses had just finished consultation with baseball officials as to the schedules in several stadiums for the following year when they were going to hold large meetings of Jehovah’s Witnesses. They needed baseball stadiums, as they had with Yankee Stadium in New York. The Jehovah’s Witnesses went from dealing with baseball officials to dealing with the representatives of the Landmarks Commission. The story had a happy ending, with this design by Ulrich Franzen, and the preservation, in a meaningful way, of three townhouses. I felt very good about the relations with the Watch Tower Bible and Tract Society. I think the City government was very grateful that this had been handled well in a situation where there had been bad feeling in the community between some residents and the longtime resident, the Watch Tower Society. Q: My last question before I’m going to turn it over to you, because I’m sure there are some topics you want to discuss—do you have any photographs from when you were at the Commission? Gilbert: I don’t think there was much. I think we were very busy. Looking back on it, I think there’s a real shortage of photographs. We were busy with our work, and we didn’t pose for the photographers. Q: Of course, you have all these papers which we’re going to work finding a place for at some point. Gilbert: There are some additional things which I think might be amusing. Talking about Geoff Platt, the first chairman, I remember the time when he came up to listen to one of the arguments that took place in the appeals before the Appellate Division in Madison Square. What was very striking was that as Geoff came into the court room—he was a man then in his sixties—he spotted the mural, and the lady in the mural had been his mother. Strange to say, although his office was less than a mile away, he had never seen this mural. He knew of it containing his mother. Gilbert: They were society. Charles Platt was a society figure, and Geoff’s mother many years before, earlier in the 20th century, had posed for this mural in the Appellate Division. She was sort of looking on while her sixty-year-old-plus son was hearing the argument about the Preservation Commission. I think Geoff was amused that his mother was watching his actions as chairman of the Landmarks Commission. There are a number of things to mention about individual historic districts. SoHo today is respected, very valuable real estate. At one point—this is fairly well known—they proposed to have a very large housing development, housing at the center of what is now SoHo. The middle-income residents and the property owners and the artists beat back this proposal to tear down the buildings of SoHo. The Landmarks Commission wasn’t directly involved in that, except to say when we put up SoHo for consideration as a historic district, the representative of the Fire Department [of the City of New Yor] came in and referred to it in a very effective way, effective for him, as “hell’s hundred acres.” By that, he meant there were a lot of violations and a lot of damage that the Fire Department has to be concerned about. But it made for quite a headline to have SoHo referred to as hell’s hundred acres. Another memory comes up about the Chelsea Historic District. Central to the Chelsea Historic District was the General Theological Episcopal Seminary [General Theological Seminary of the Episcopal Church]. They had opposed the designation initially of the Chelsea district. They had used some of the same language used by other churches when they were criticizing their possible designation. They had a strong statement, and then maybe because of the neighborhood they were in and their neighbors, they changed their point of view and withdrew their objections to the Chelsea Historic District. I have very warm memories of Chelsea when it was declared a historic district. Afterwards there was a lunch served at the Seminary, probably something like tuna fish sandwiches. I will say that lunch was one of the best lunches I ever tasted, because they reversed their position, and we had the Chelsea Historic District. Other things that come to mind—for example, the Mott Haven Historic District up in the south Bronx, a very depressed area of the city. I remember we were very concerned in our work at the Landmarks Commission to have all the boroughs represented I remember saying to one of my colleagues on the staff, “Go up to the Bronx and don’t come back until you have a historic district,” and we were serious about it. That quote ended up in the newspapers. What John [B.] Bayley did was he took out the maps prepared by the WPA [Works Progress Administration] in the 1930’s, and identified a small area of old houses which came to be known as the Mott Haven Historic District with wonderful townhouses in it. That was a big success in terms of finding a historic district in the South Bronx. There are other memories—one has a modern ring to it. The Landmarks Commission put up for consideration as a landmark, the Harvard Club on West 44th Street—a very handsome, late-19th century, early-20th century building, and we got a letter of opposition to the designation. It was signed by the then-club president Roy [E.] Larsen, who was Henry [R.] Luce’s collaborator in developing the Time-Life series of magazines, the Time-Life empire. So we got this letter from Roy Larsen objecting to tying their hands. The Landmarks Commission at that point had a surplus of members with Harvard [University] degrees like Geoff Platt, the chairman, Stanley Tankel, the vice chairman. We went ahead and, not withstanding their objection, designated the Harvard Club as a New York landmark. Some thirty-five years later, in the early 21st century, the Harvard Club bought adjacent property to the west of its building, and had designed for it quite a modern glass front addition to the Harvard Club, which was unlike the other buildings, which were very much buildings of stone and brick. I enjoyed, from Washington, reading their material about how the club was a New York City landmark. They pointed out to members objecting to the new modern addition—it was a New York City landmark, and they had been to the Landmarks Commission and gotten the landmark’s approval for this addition. My mind went back to how they had resisted designation. So I enjoyed the new attitude of the Harvard Club, which showed great respect for the Landmarks Commission. Quite a change from our experience with Roy Larsen many years before. Gilbert: I remember the public hearing about the Chelsea Hotel, a great literary landmark on West 23rd Street. Stanley Bard, of the family that owned it, came forward at the Landmarks Commission to support the designation of the Chelsea Hotel as a New York City landmark. He brought with him that day one of the authors living there—a man named Charles Jackson who had written “The Lost Weekend.” That was the movie about alcoholism that got a lot of attention—a Billy Wilder movie I believe, with Ray Milland playing the lead character. Charles Jackson was quite a well known person at that time. He described how as a writer, he had come to the Chelsea Hotel with writer’s block. The Chelsea Hotel had been a very hospitable place and that he had written what turned out to be his last two novels at the Chelsea Hotel. You had witnesses like Charles Jackson—you had some very emotional testimony on one subject or another. I think of the experience we had with the America-Israel Cultural Foundation, which had a townhouse on East 54th Street. It was put up for designation as a landmark, and a leading figure at the America-Israel Cultural Foundation—that’s the group that supports cultural institutions over in Israel—was Isaac Stern, the famous violinist. They opposed the designation initially, and again, we had discussion with people. Our point of view at the Landmarks Commission was Isaac Stern had been the leader in saving Carnegie Hall. As I said to them, he was the father of the Landmarks Commission, or one of the fathers of the Landmarks Commission. We didn’t see a difference between his support on West 57th Street for saving a landmark, and for him to turn around, or his organization to turn around, and oppose designation on East 54th Street. We hammered that point, and eventually they came around and acquiesced in the designation. We could’ve done it without their acquiescence. I’m afraid I said too often that Isaac Stern was a father of the Landmarks Commission, because his representative said, “Sometimes, Mr. Gilbert, there are problems between a father and his children.” But that said, the building was made a landmark. There were a number of experiences like that. I think of the Audubon Society building—they later moved to a Midtown skyscraper. At that pointm they had the Willard [D.] Straight House on Fifth Avenue. They were in the same business as we were, which was environmental. Their initial reaction was to raise questions about being made a historic landmark. To the credit of the Audubon Society, the older members of the board said, we’re on the same page. We understand why we should be designated a landmark. It was the younger members—the young fogies, if you will—at the Audubon Society who were initially concerned about being made a landmark. The Willard Straight House, then the home of the Audubon Society, was designated as a landmark. But it was interesting to see the difference between the generations. The older members understood the importance of them supporting landmarks preservation. The younger members had a narrower view, which did not prevail. I also think of the experience the Landmarks Commission had with the South Street Seaport. There was a man there at the time the Landmarks Commission began its work, named Joseph Alleger [ph]. Mr. Alleger was busy assembling that whole parcel, Schermerhorn Row [Block], so a skyscraper could be built on that site. I don’t know the full story, but there was one property owner who resisted being assembled by Mr. Alleger. That one holdout contributed greatly to the preservation of Schermerhorn Row, which is the central part of the South Street Seaport. I remember Mr. Alleger, who was very upset about landmark designation—on more than one occasion with him, we walked up and down these rundown buildings, which have since been rehabilitated. I must say, I had some nervousness about the floors we were walking on and the stairs we were climbing. But with Mr. Alleger, I preferred to be in motion, because any time he stopped, he expressed his concern—was he going to get paid for all the property he owned? He owned all that property except for this one holdout. There’s much more to the South Street Seaport story, but that was my involvement in it. I really appreciate the chance to talk with you about these experiences. At this point, we probably covered enough ground. Q: I think so. I think this has been great and Tony [Anthony C. Wood] will definitely be happy with it. All right, thanks.